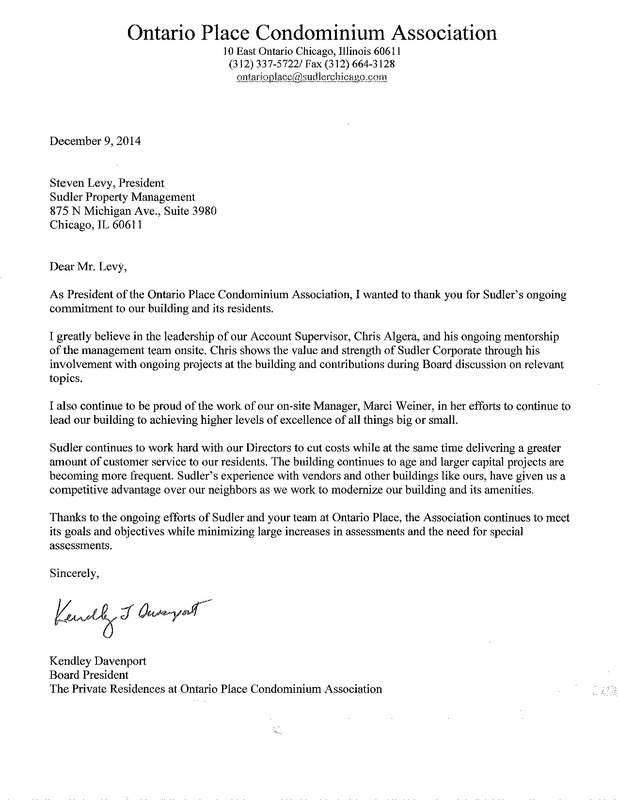 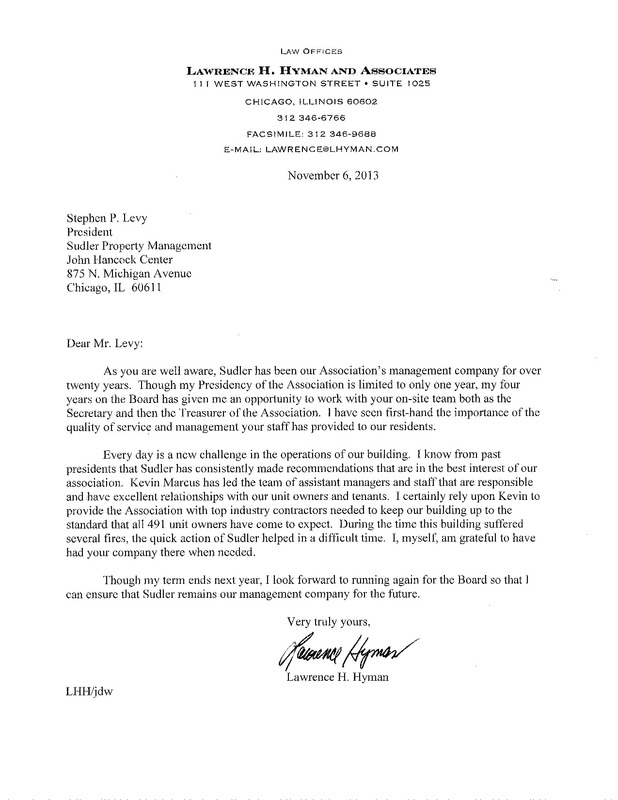 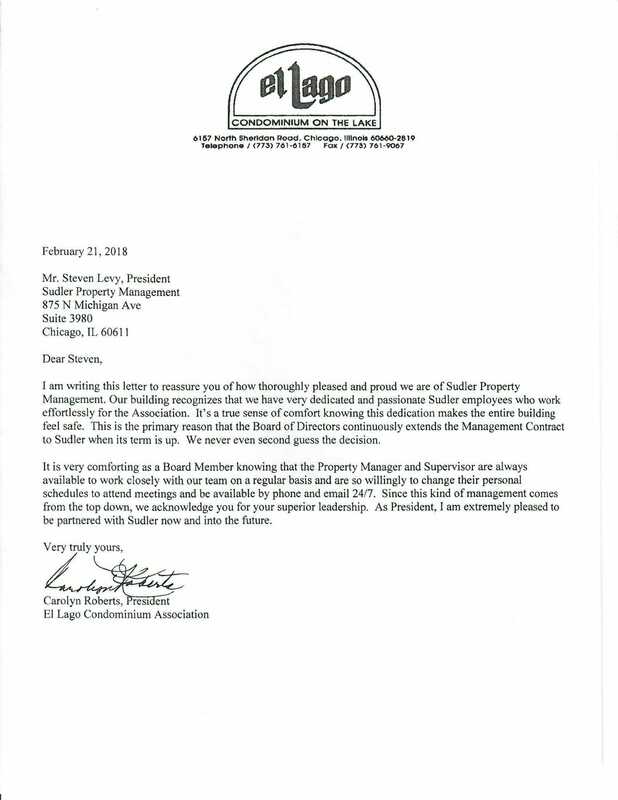 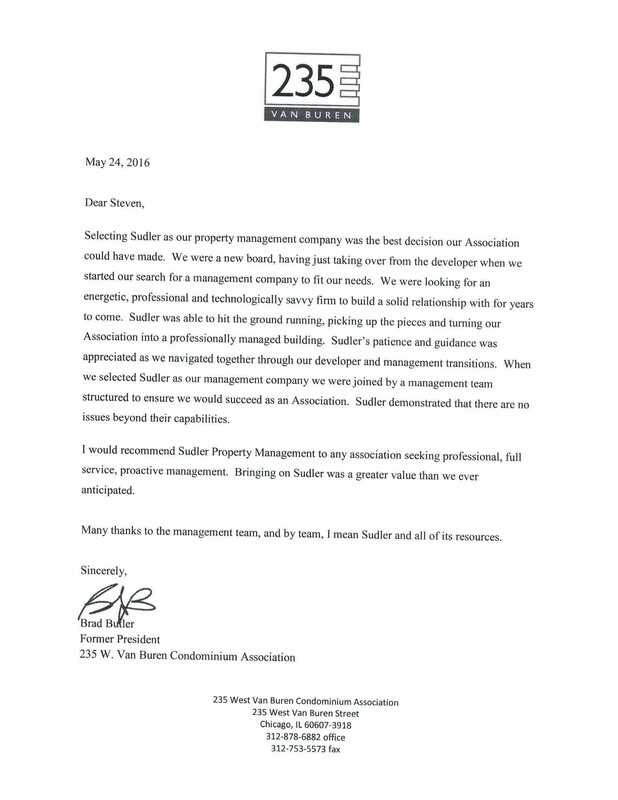 We can talk all day long about what we do and how well we interact with associations. 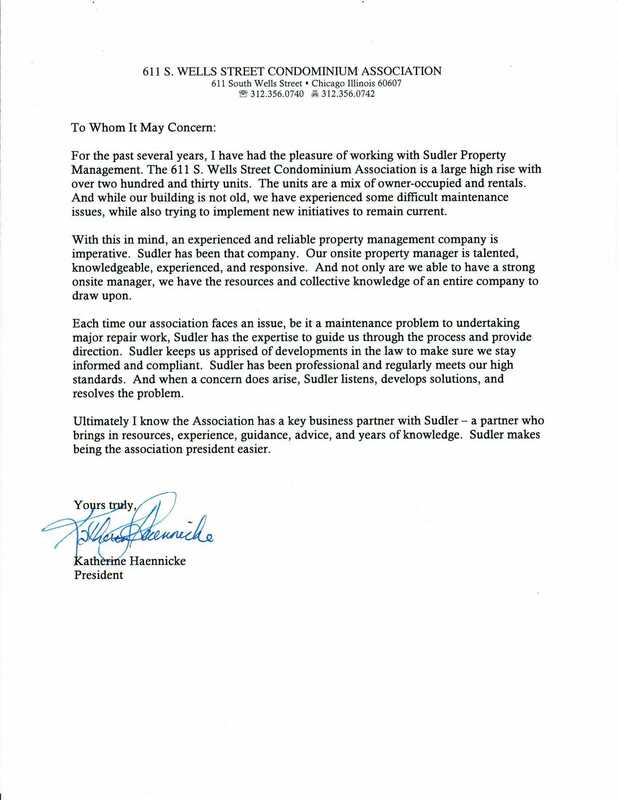 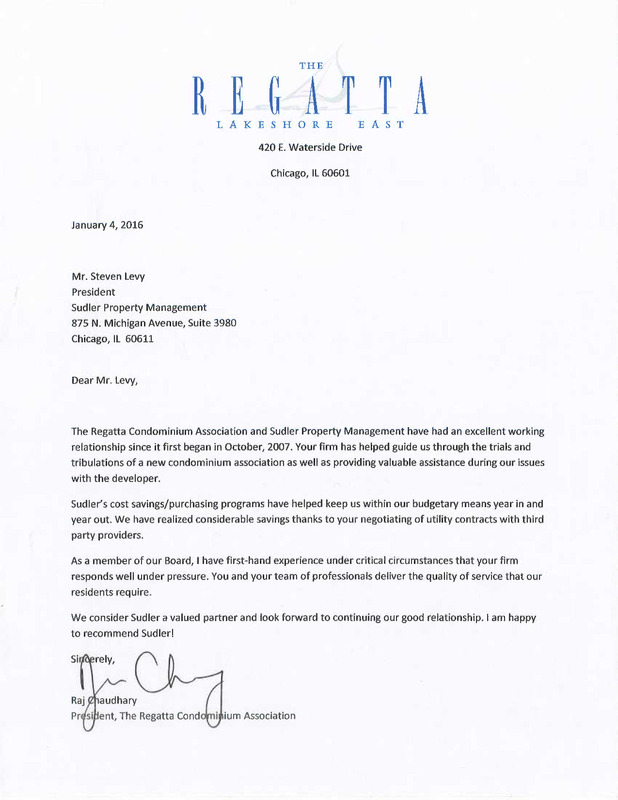 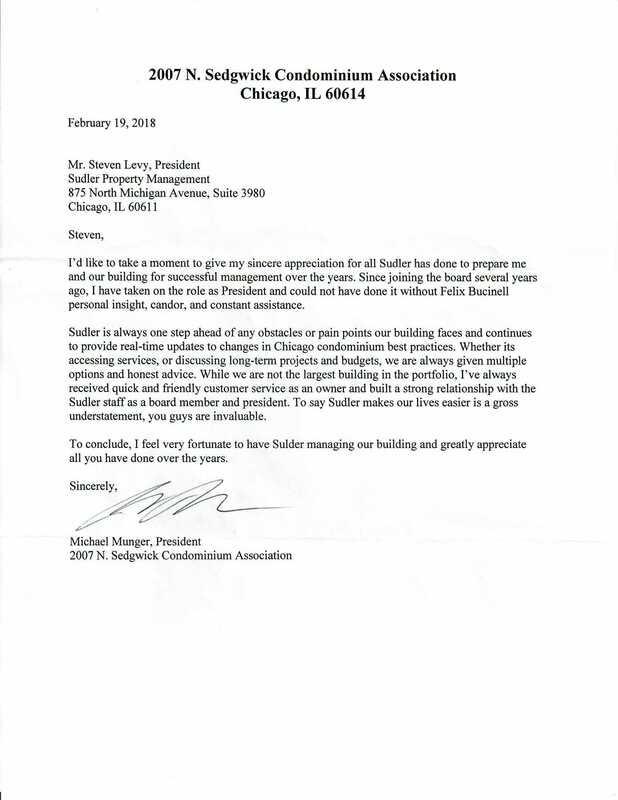 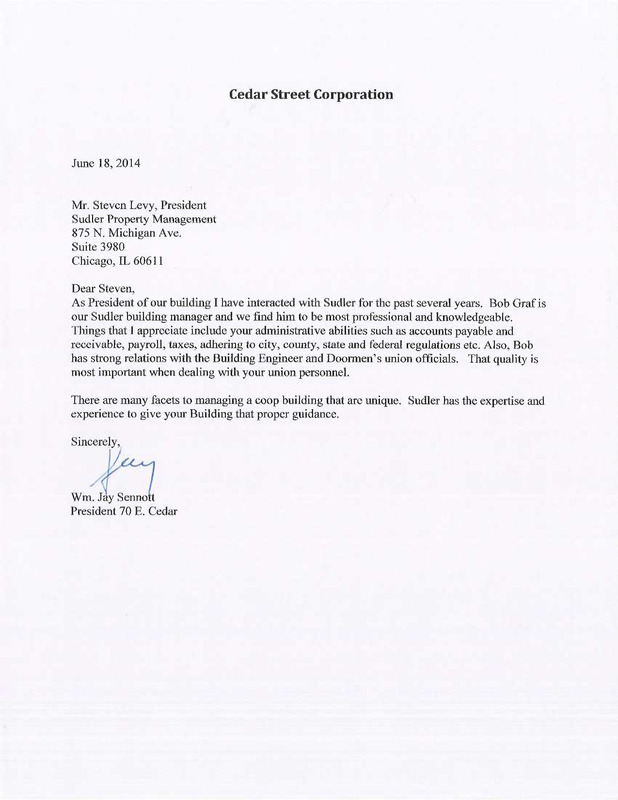 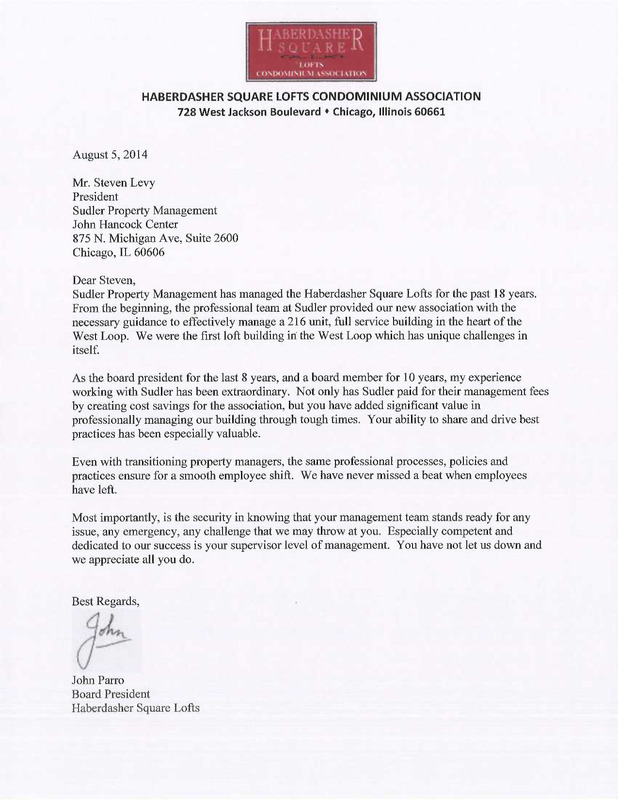 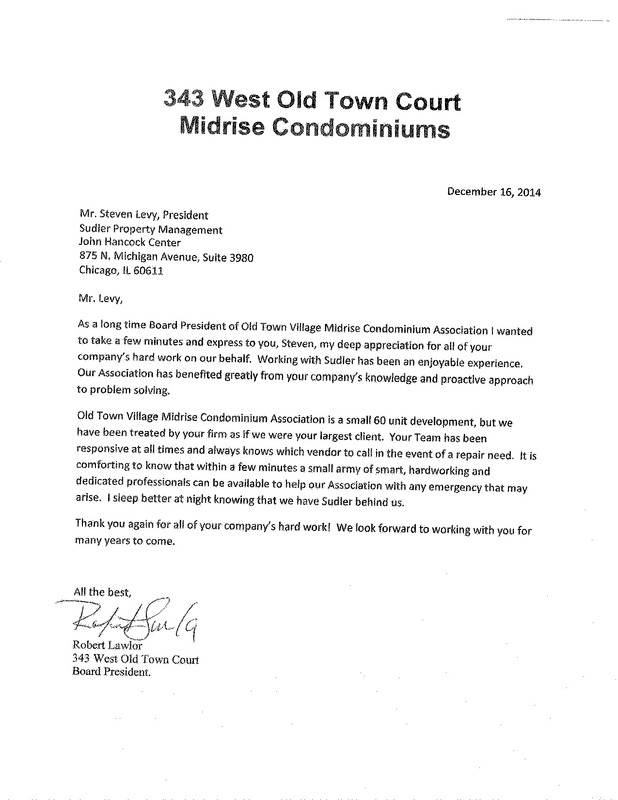 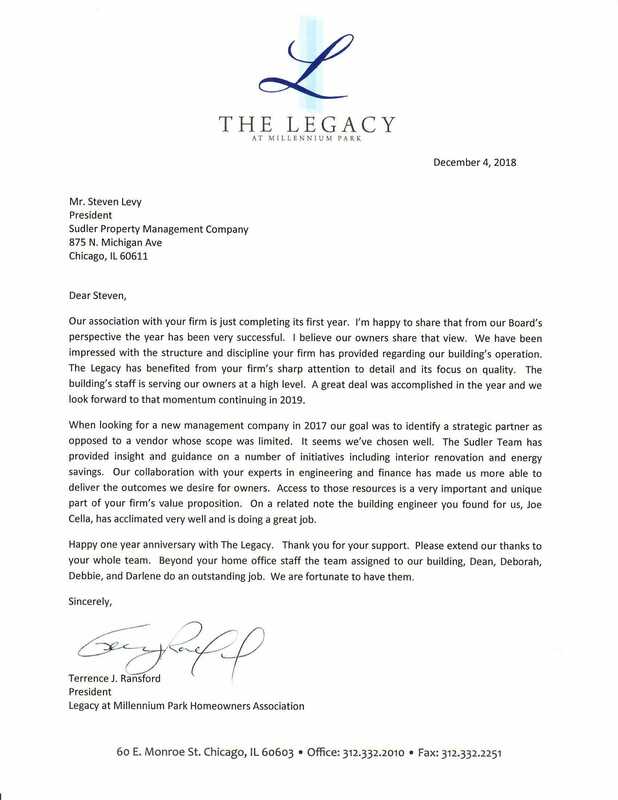 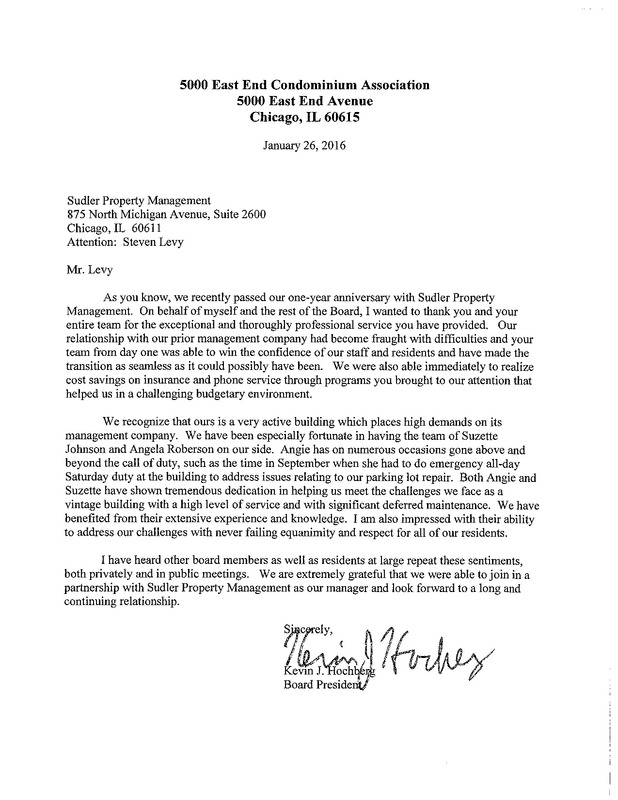 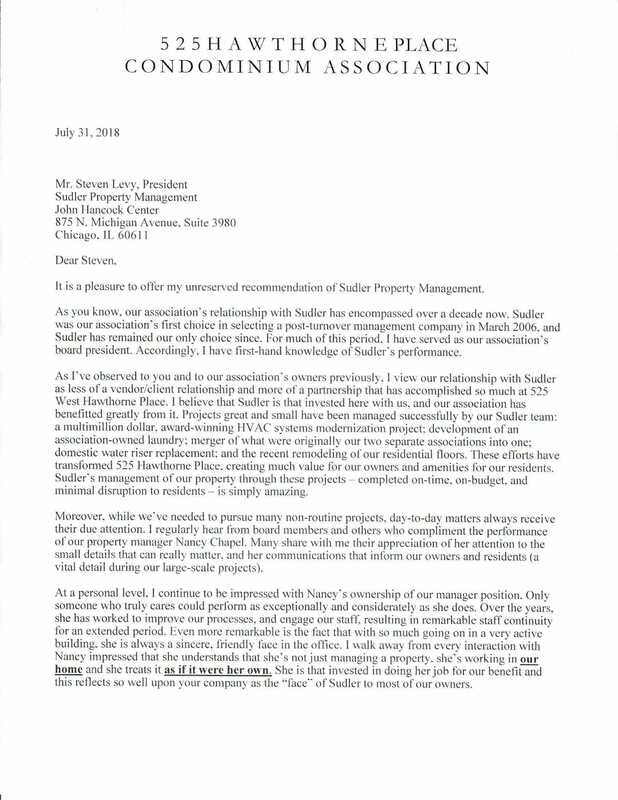 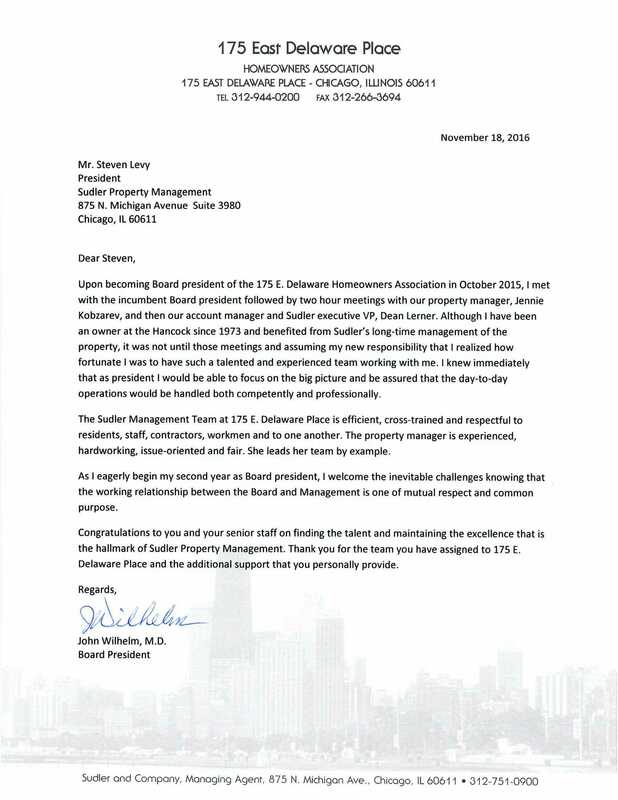 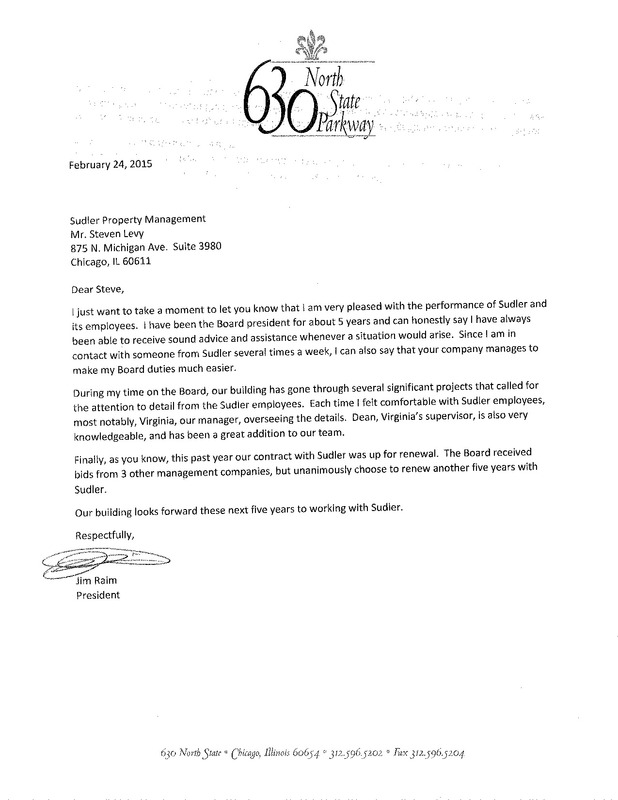 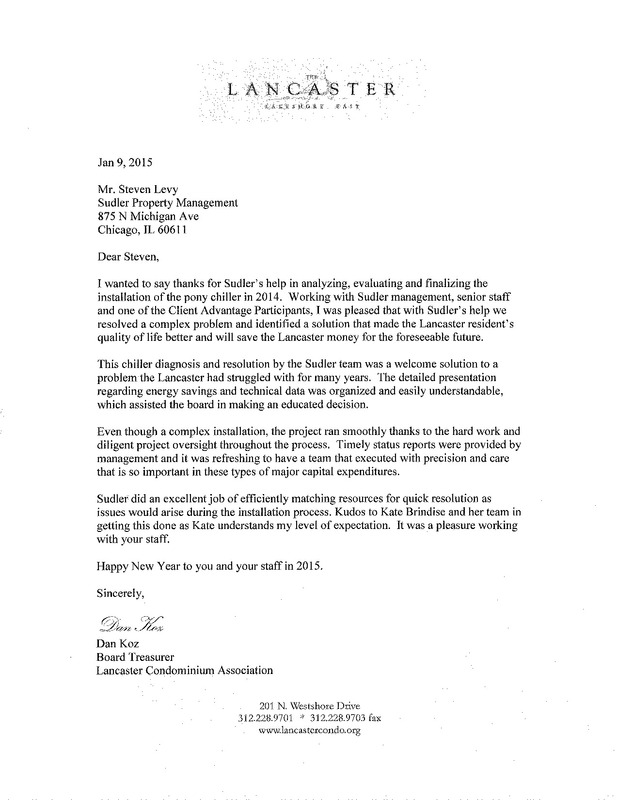 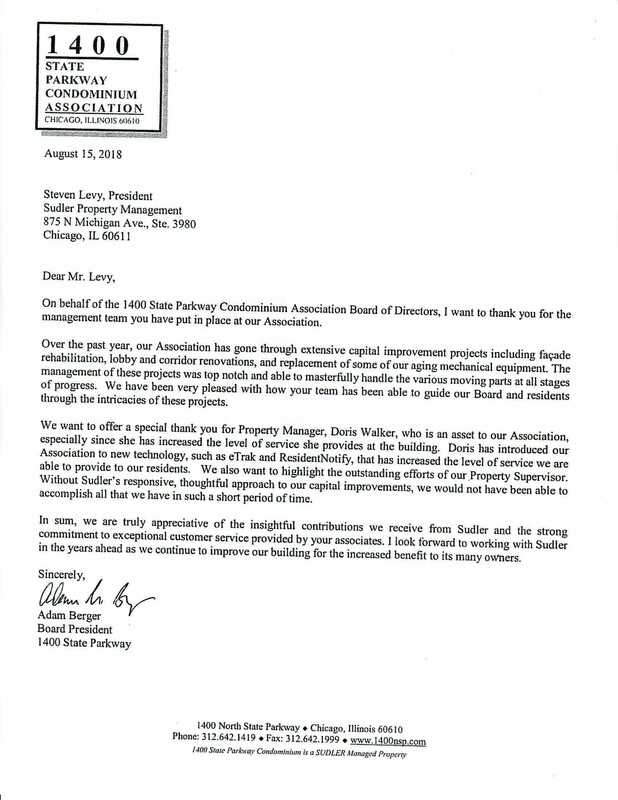 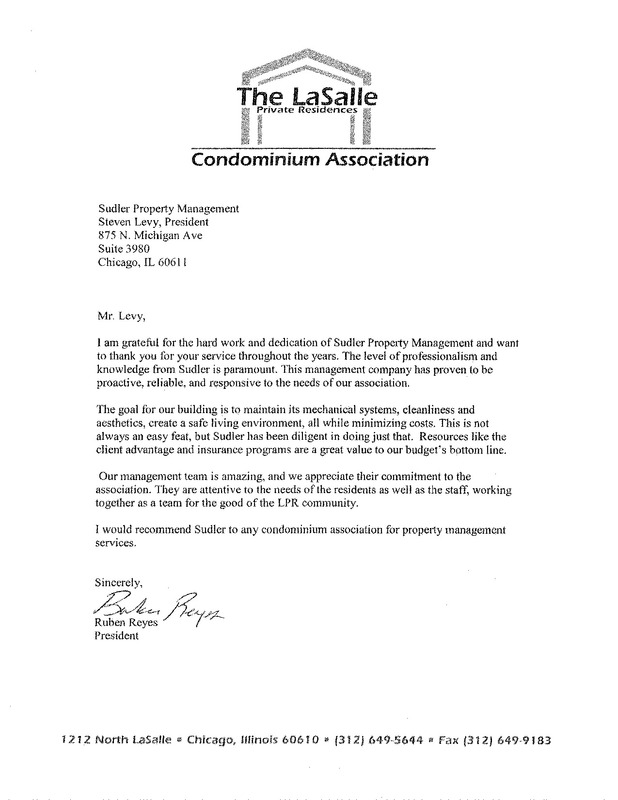 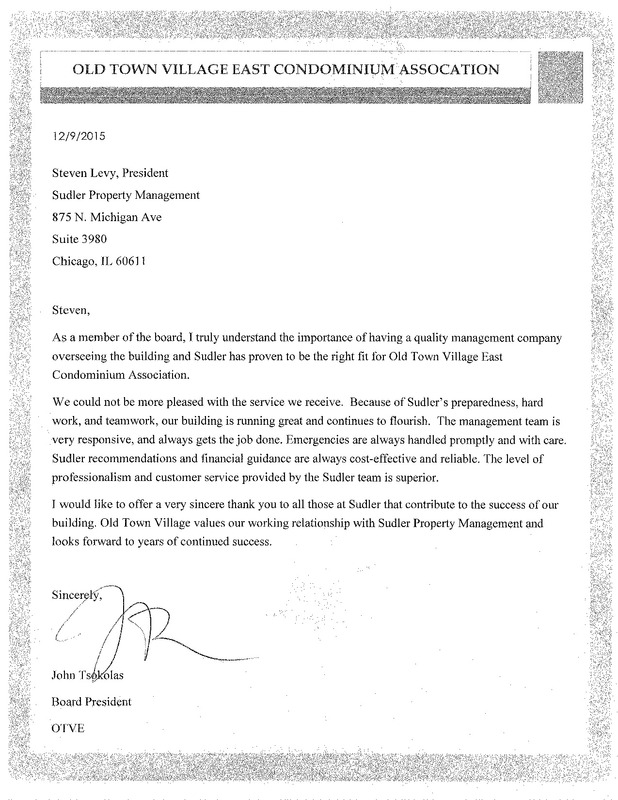 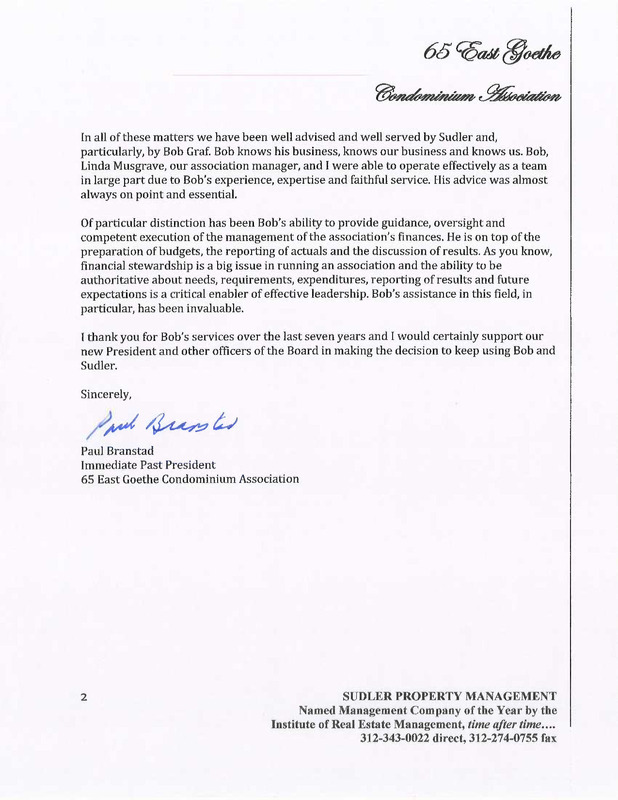 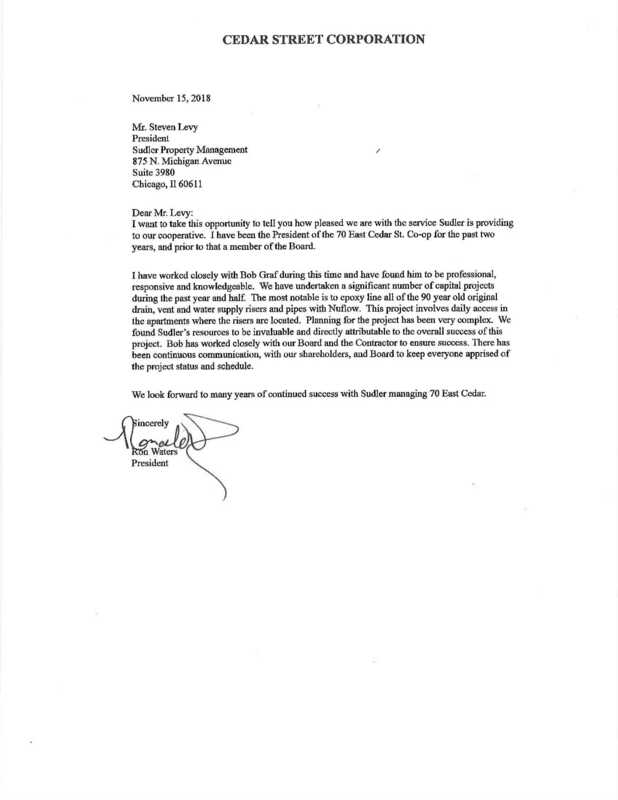 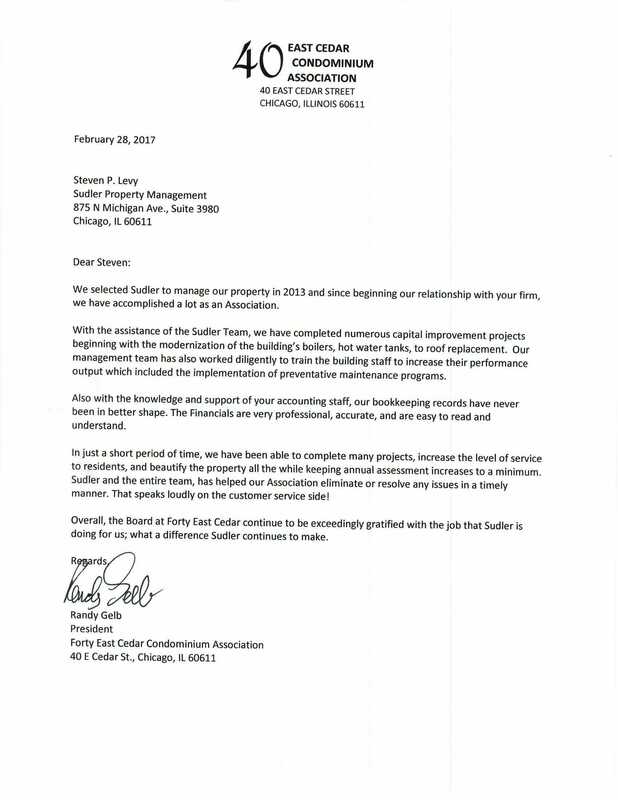 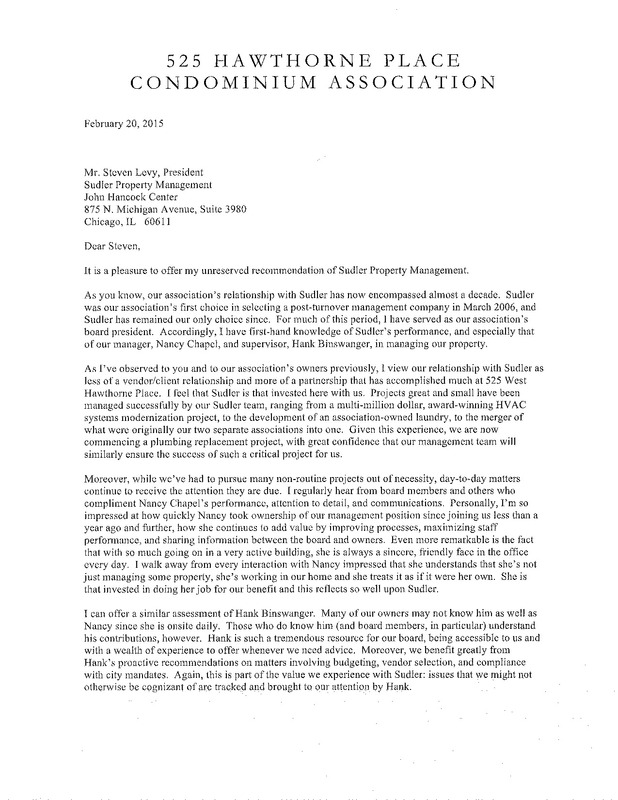 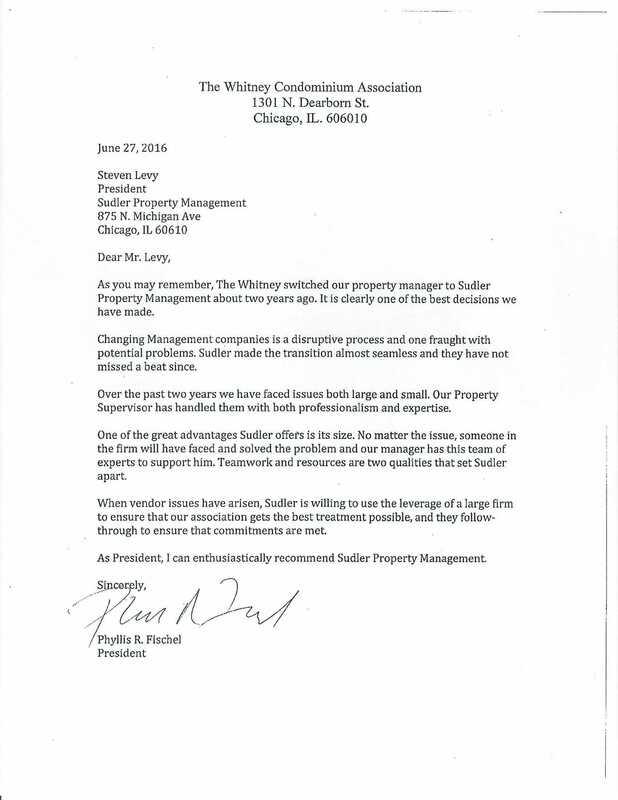 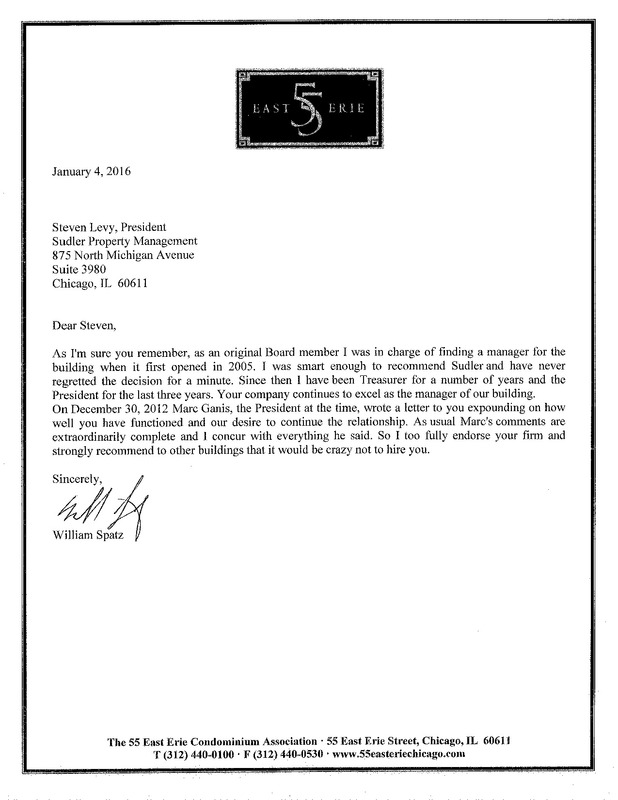 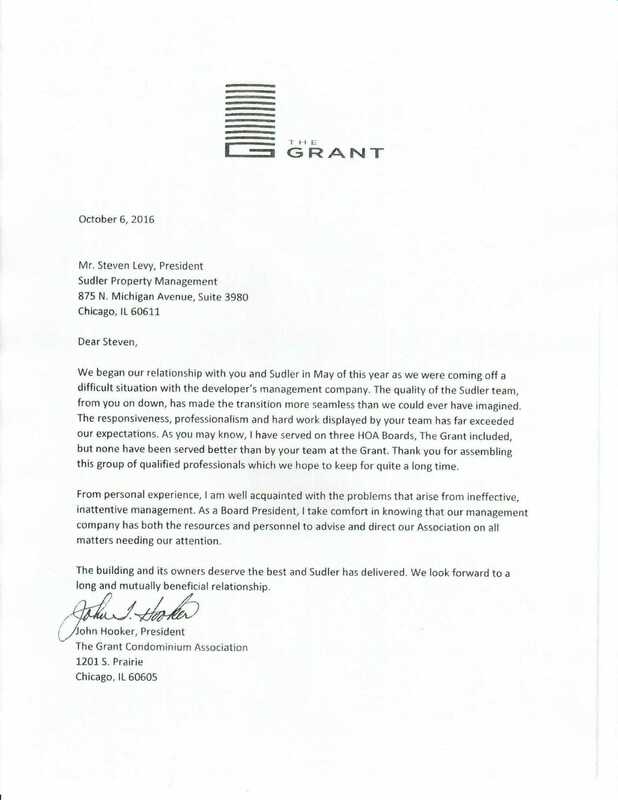 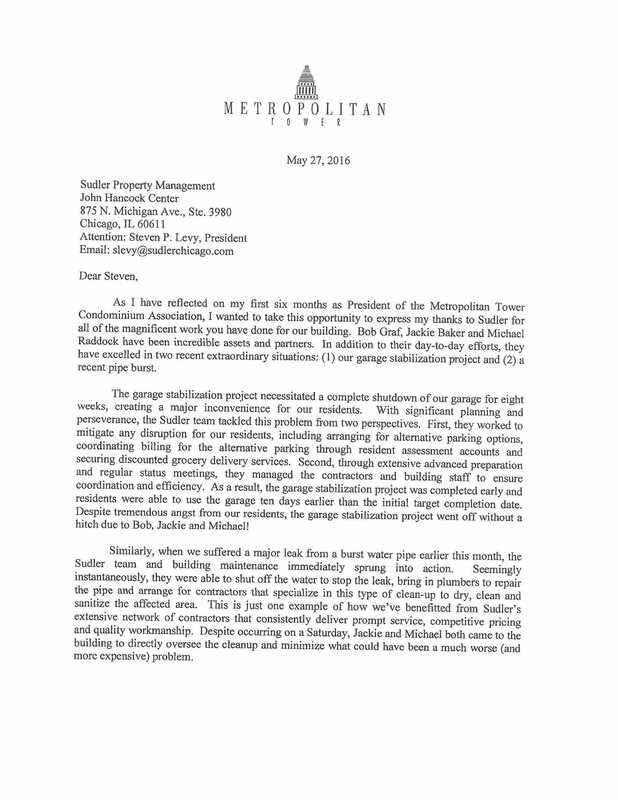 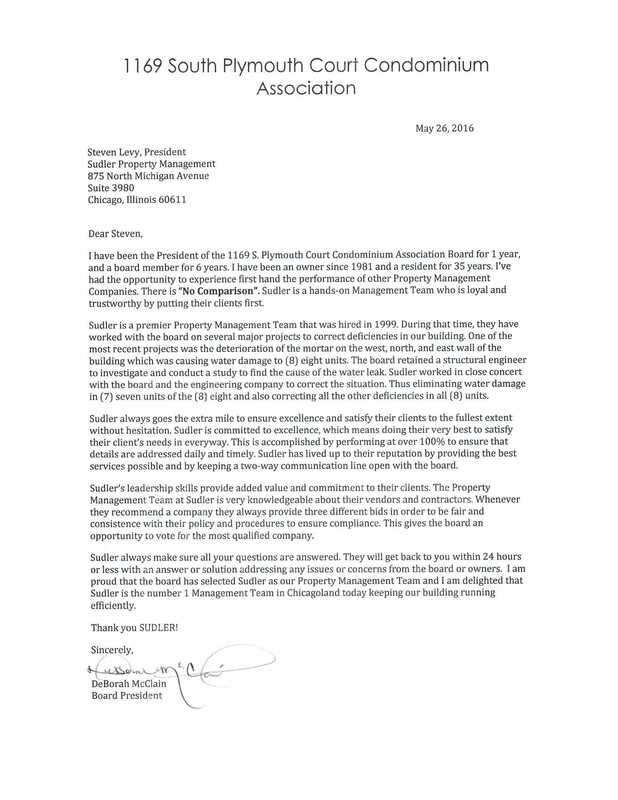 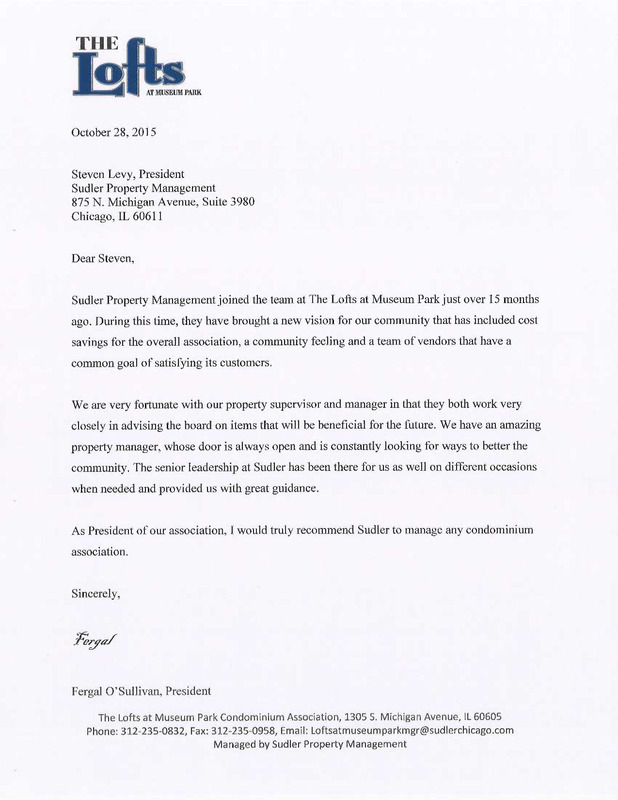 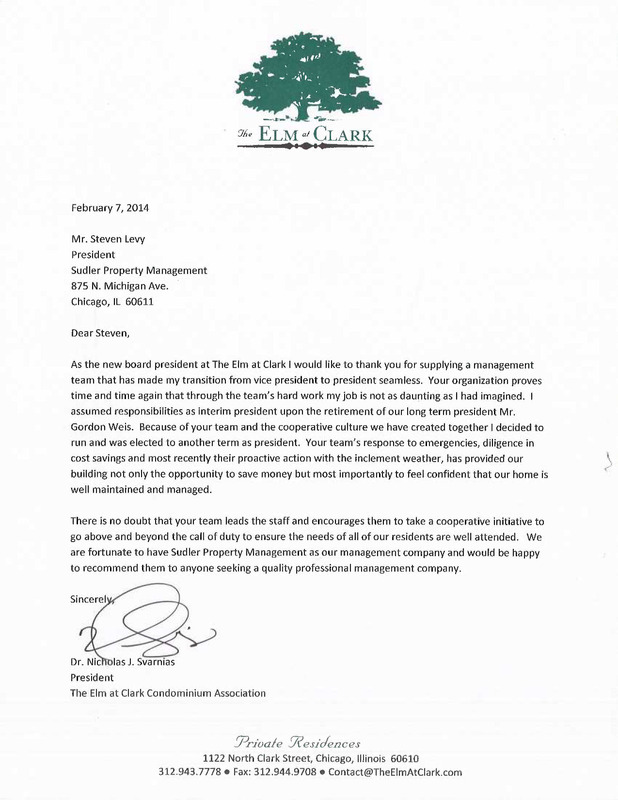 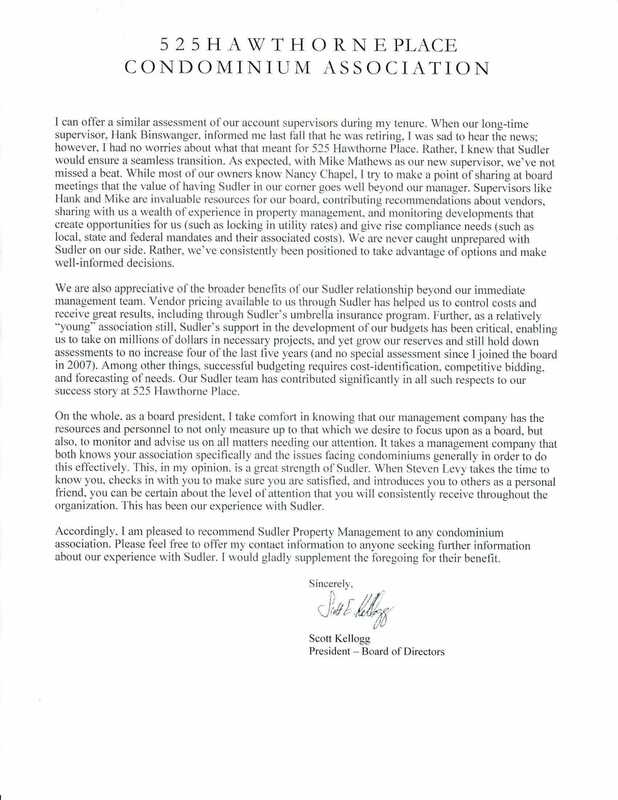 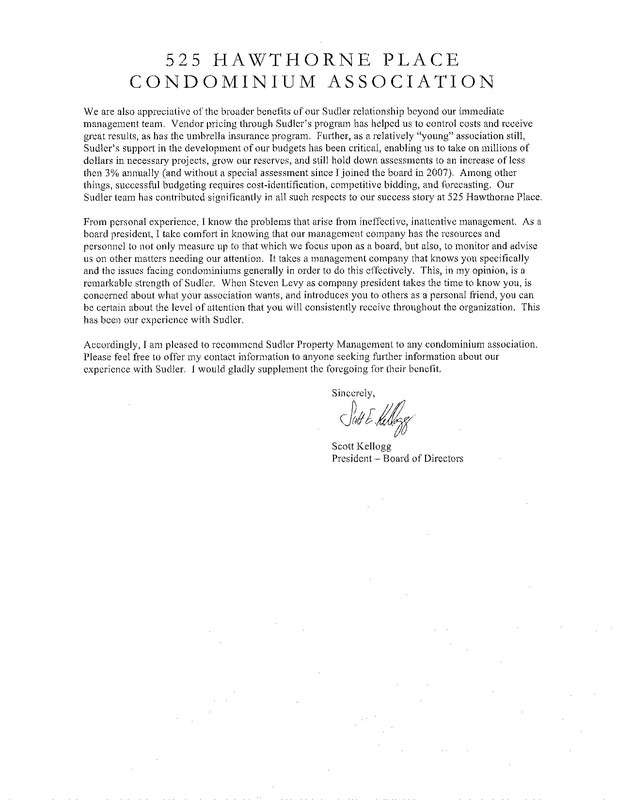 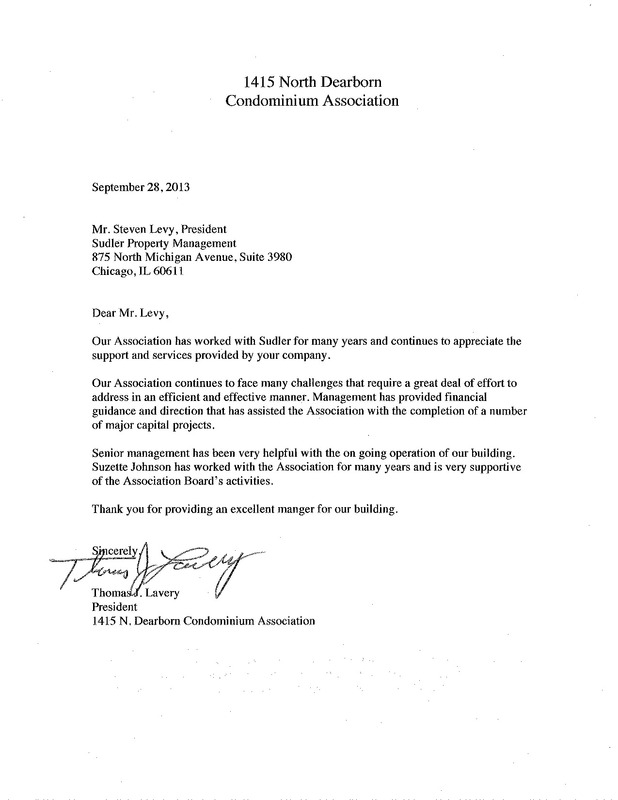 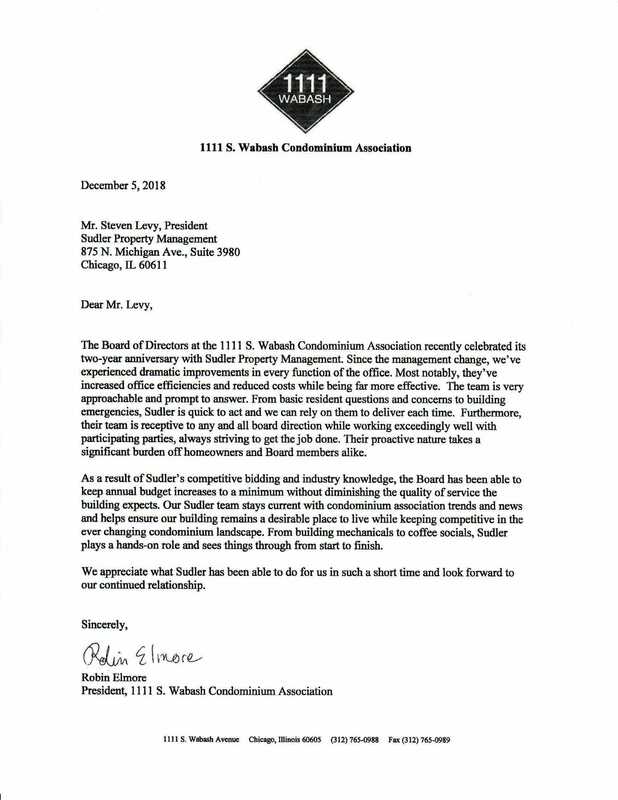 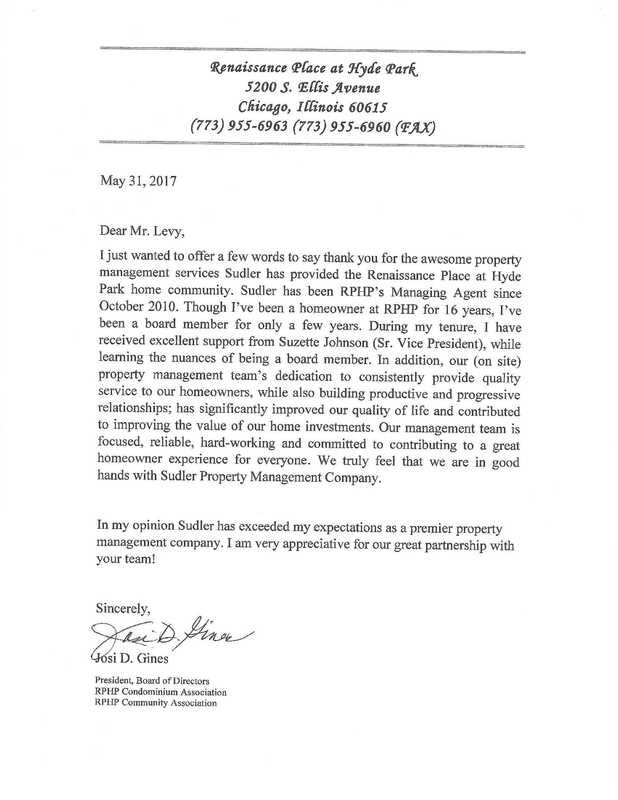 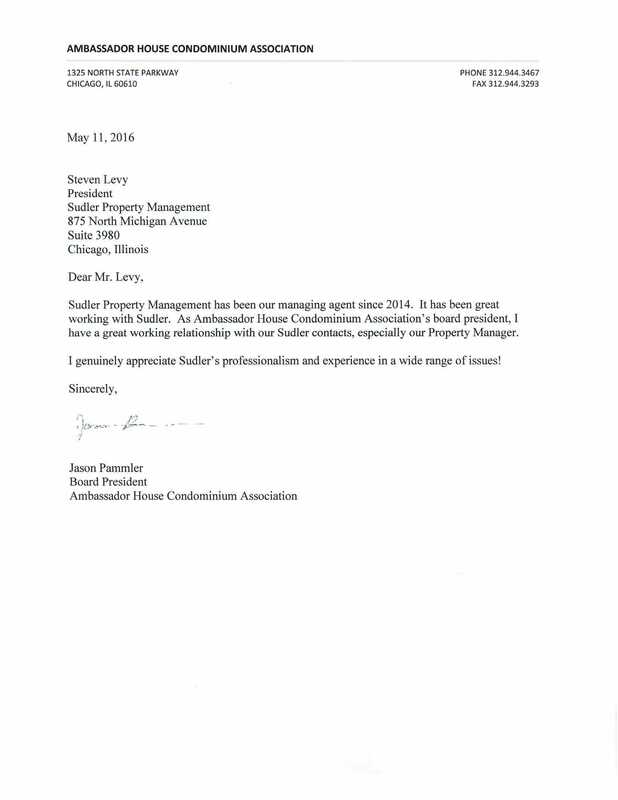 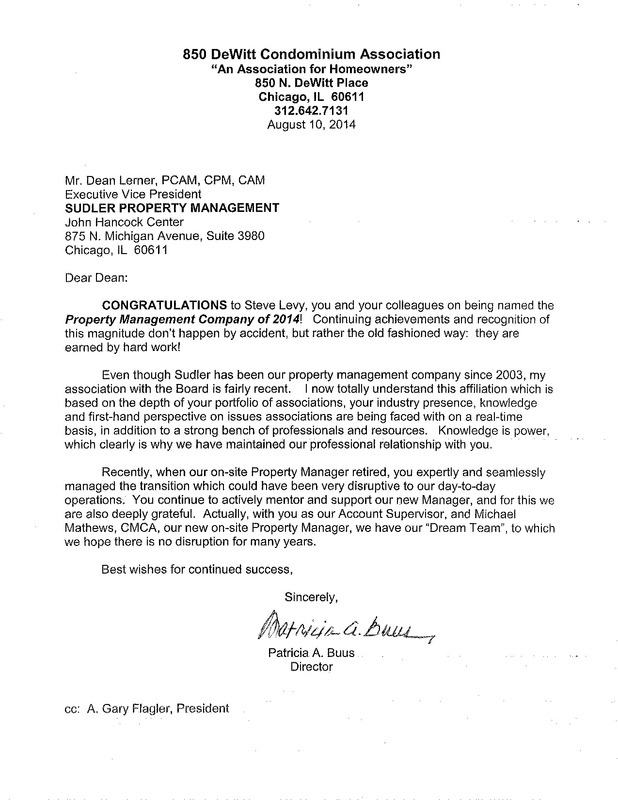 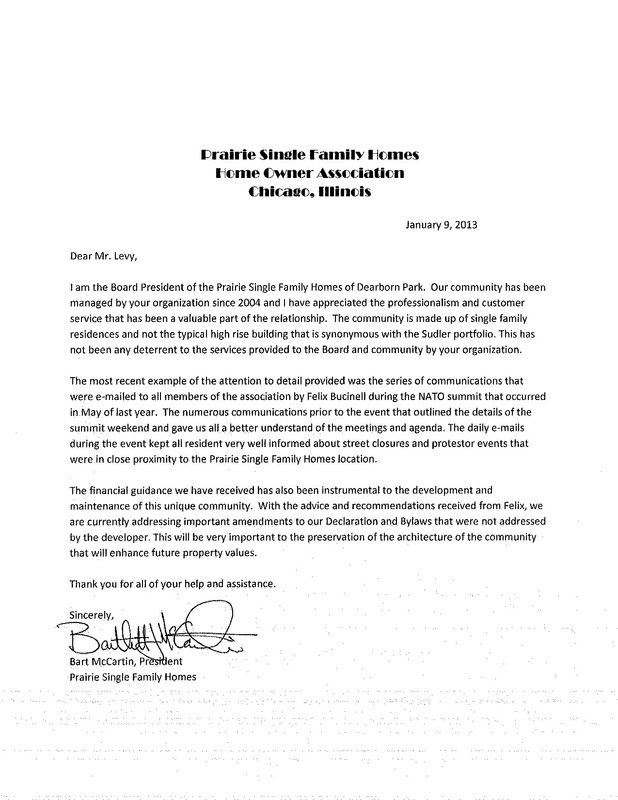 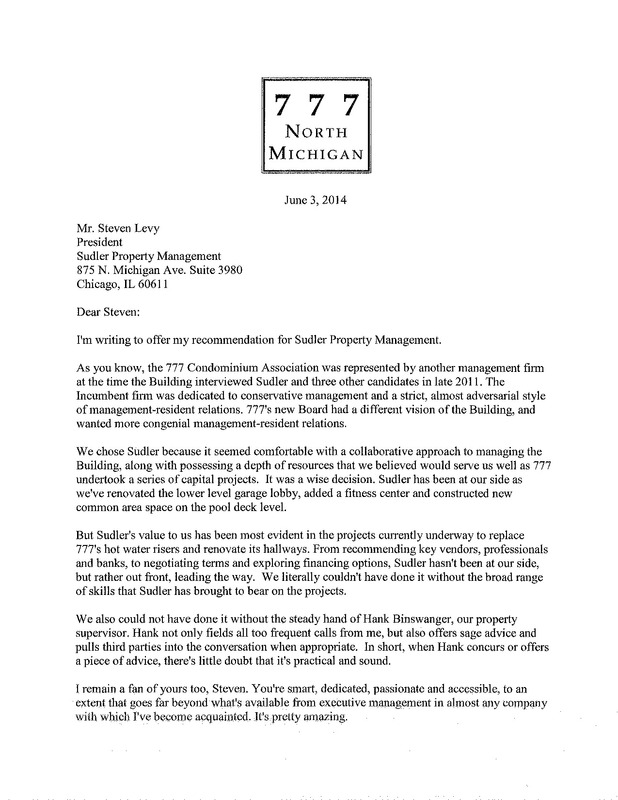 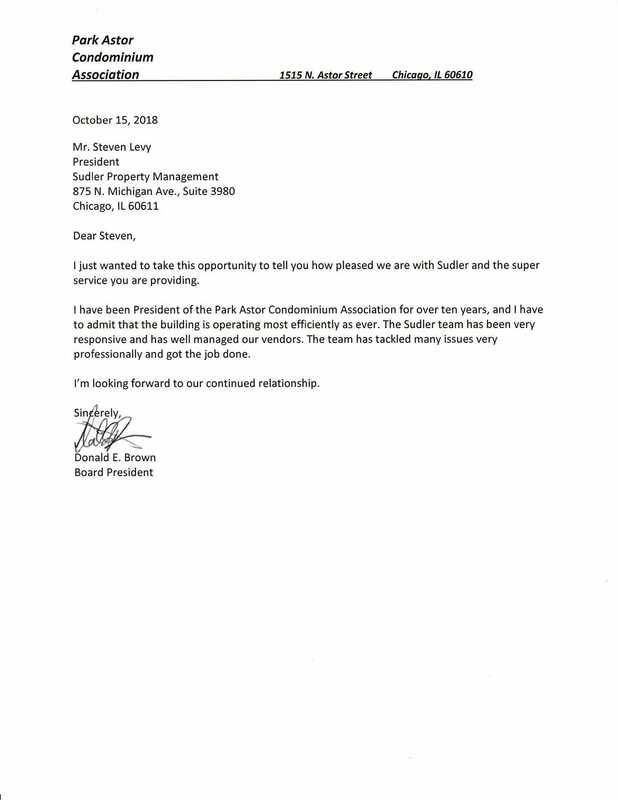 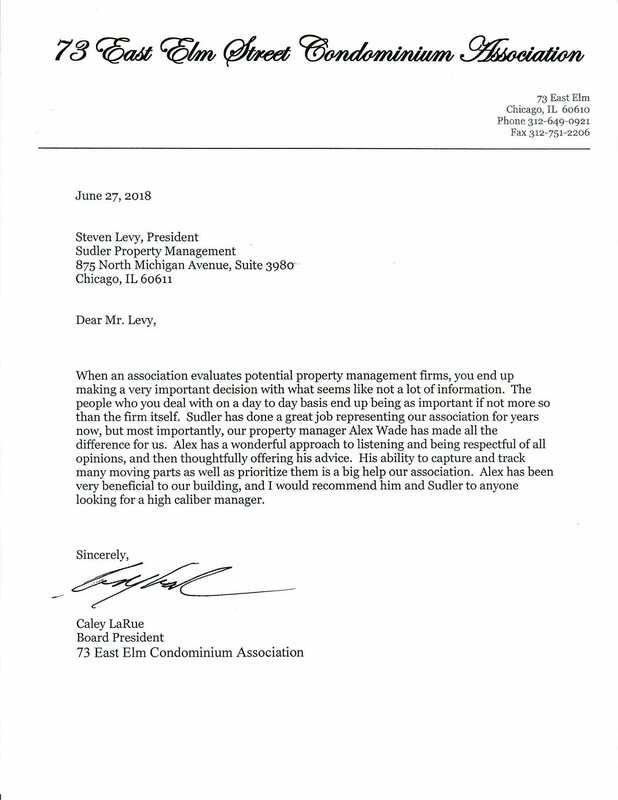 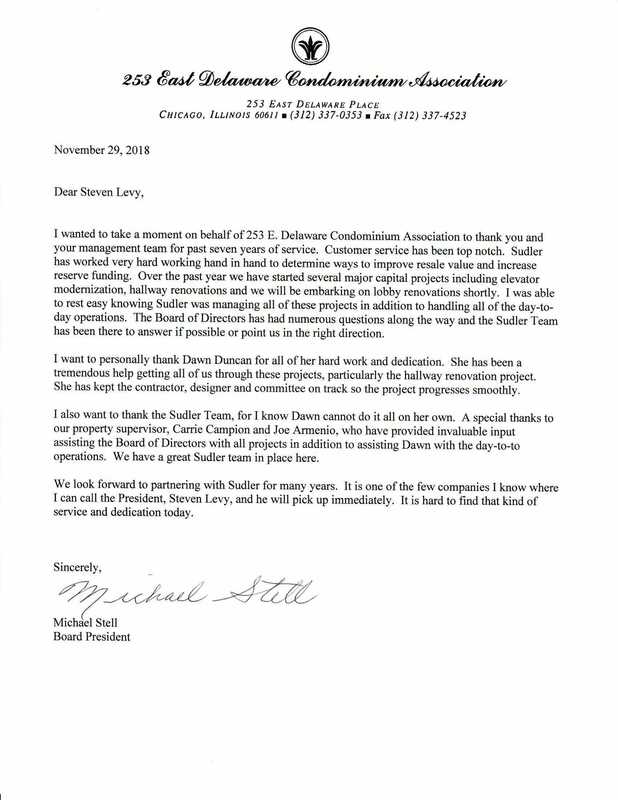 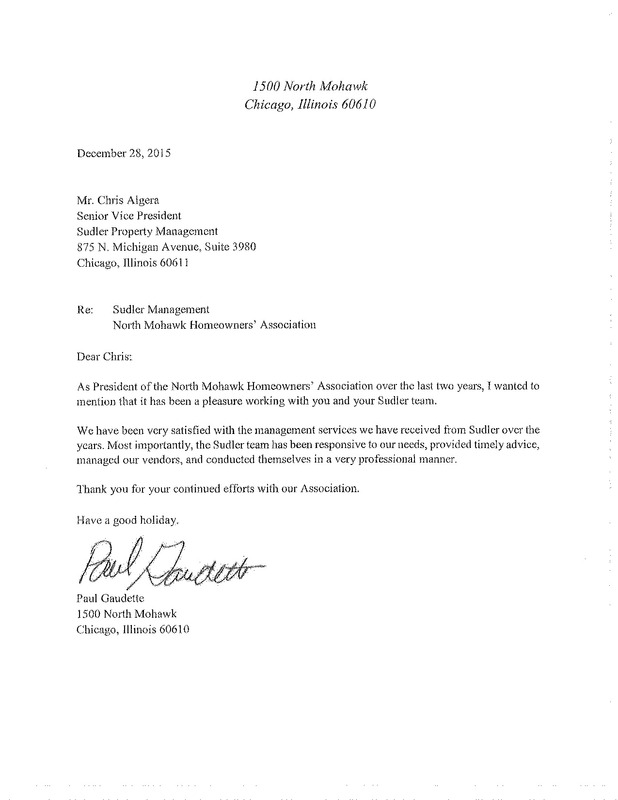 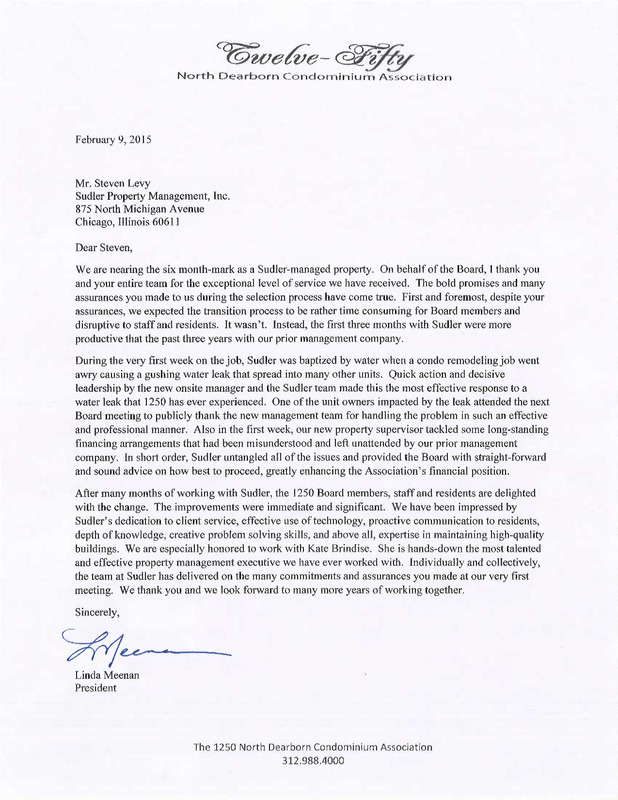 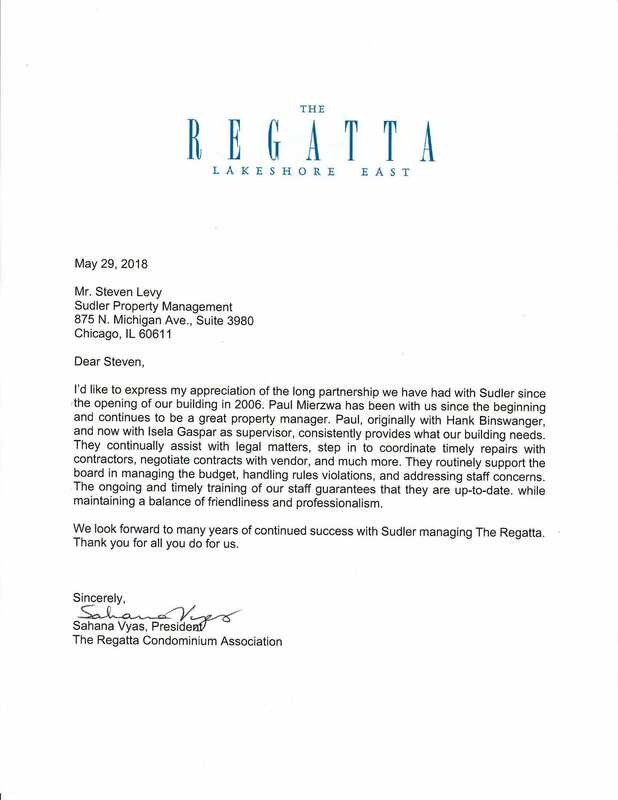 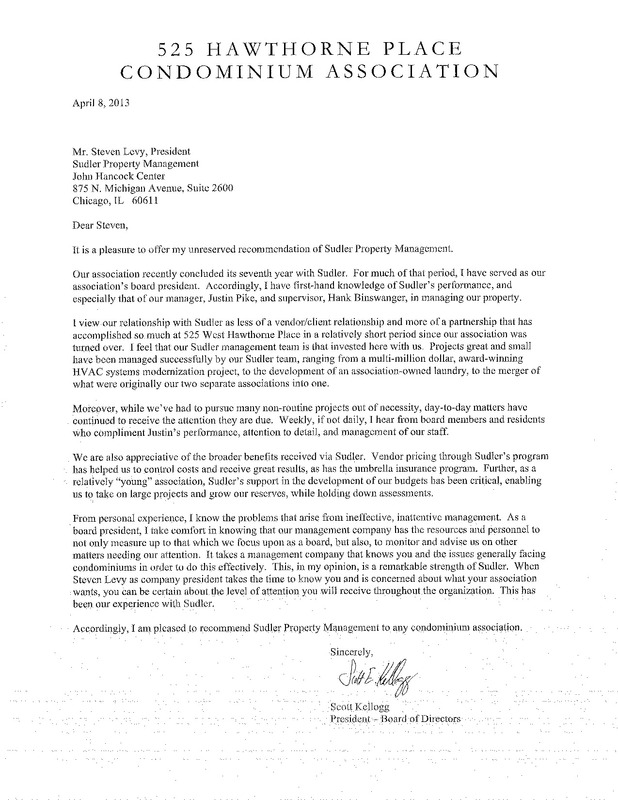 However, what’s more important is what our clients themselves have to say about Sudler and our focus on excellence. 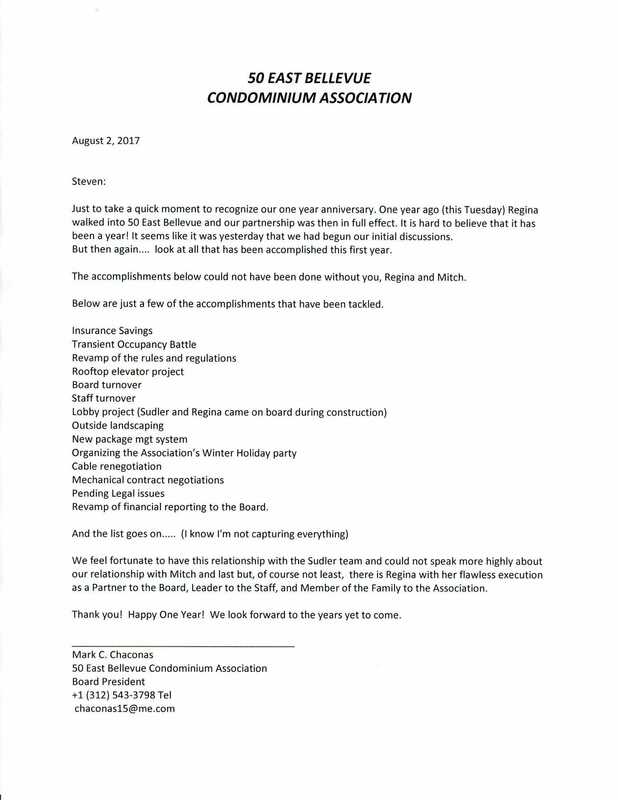 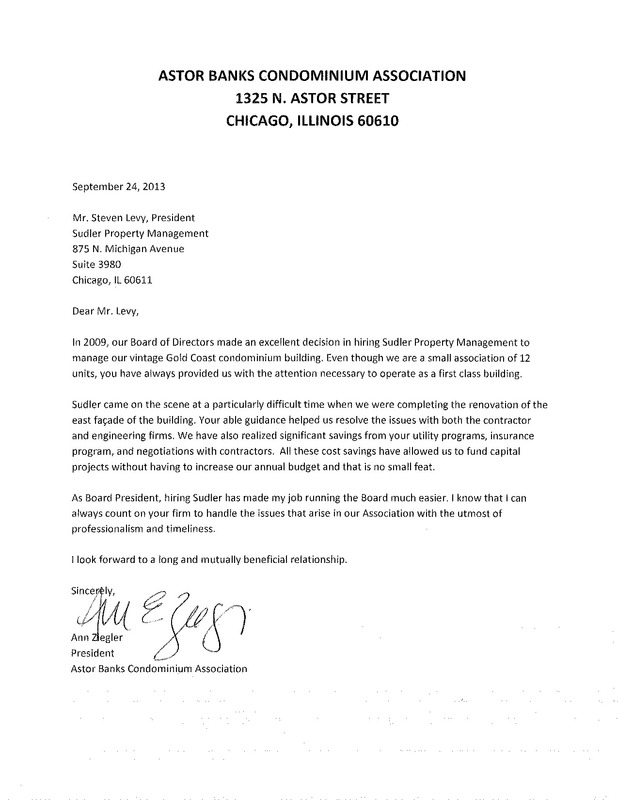 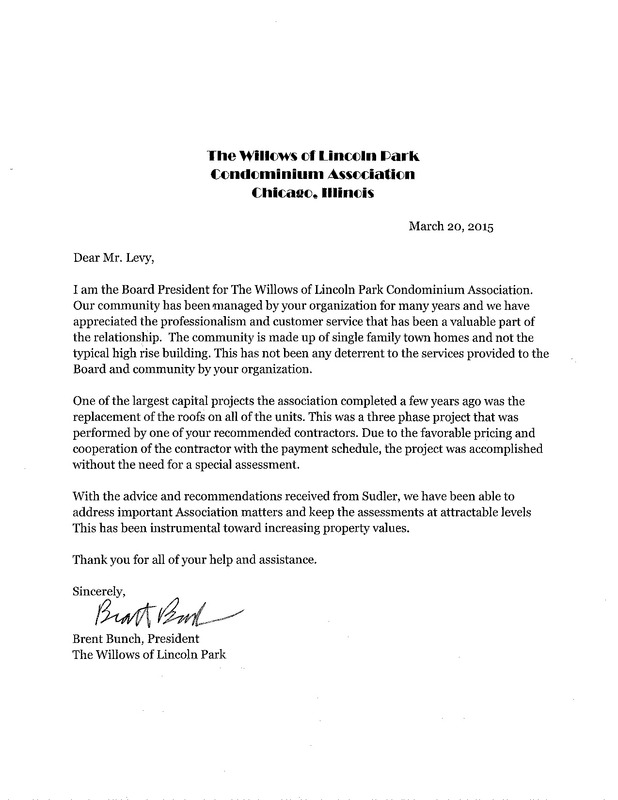 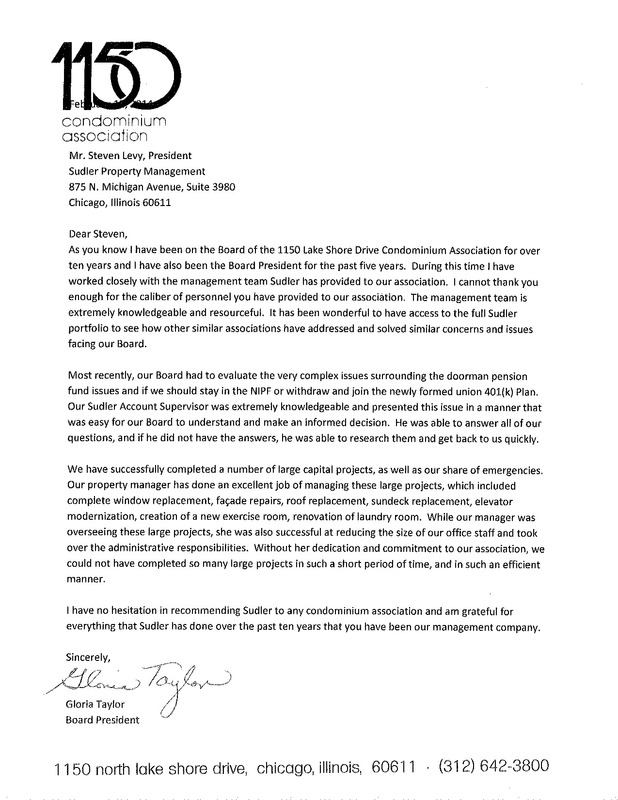 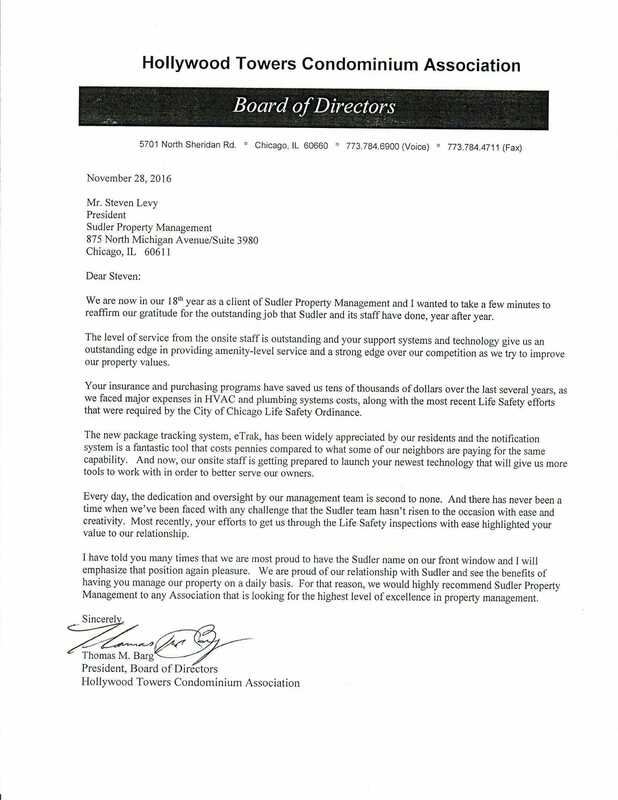 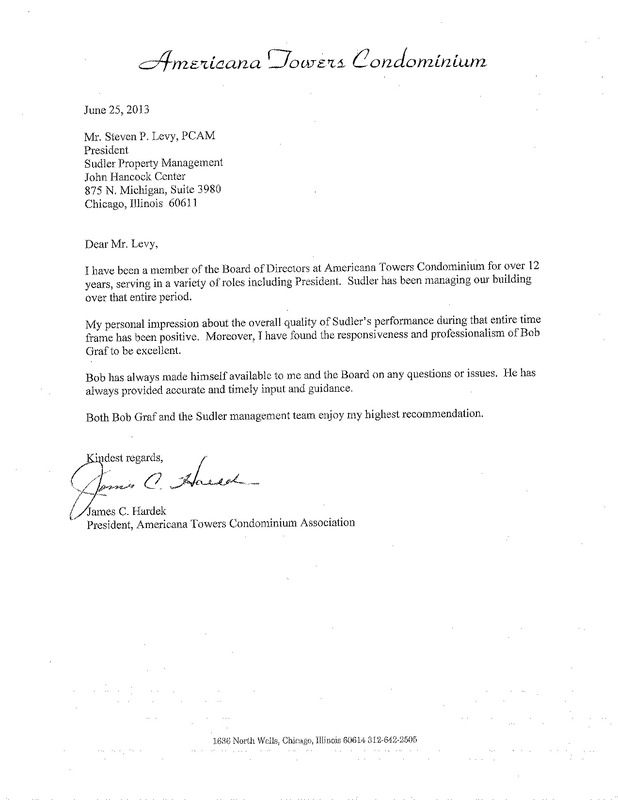 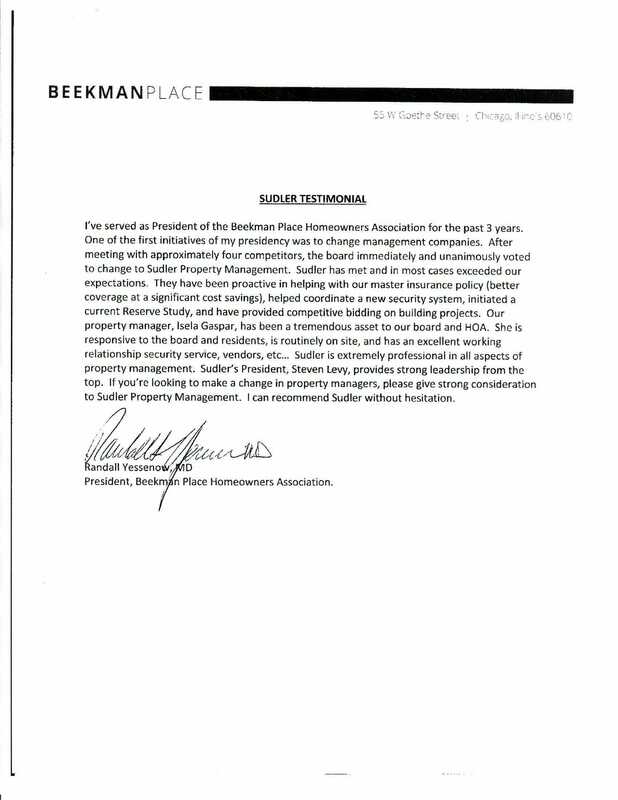 We invite you to read what Board members and outside attorneys have written about us. 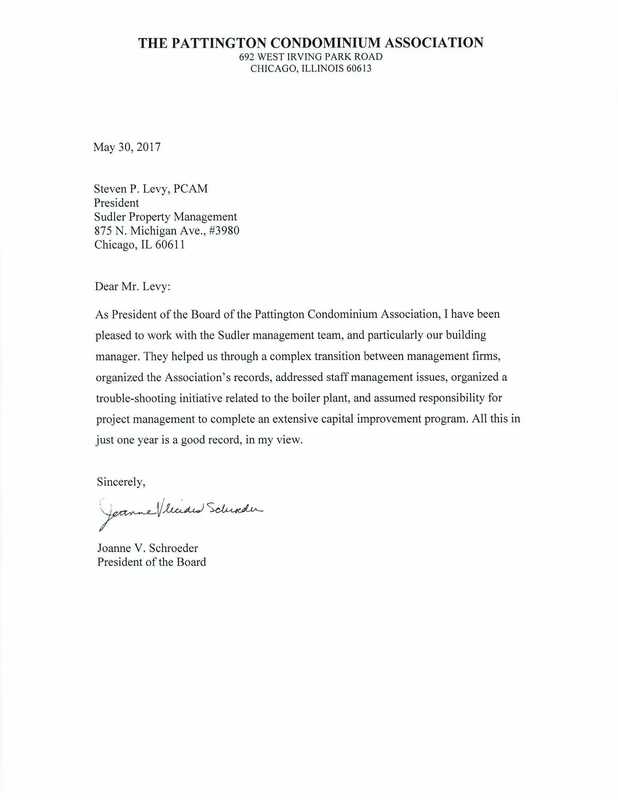 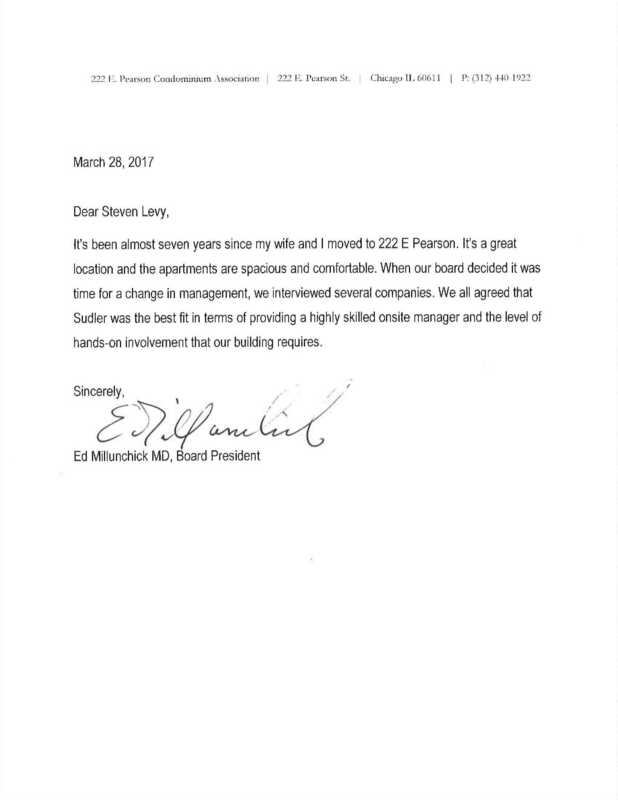 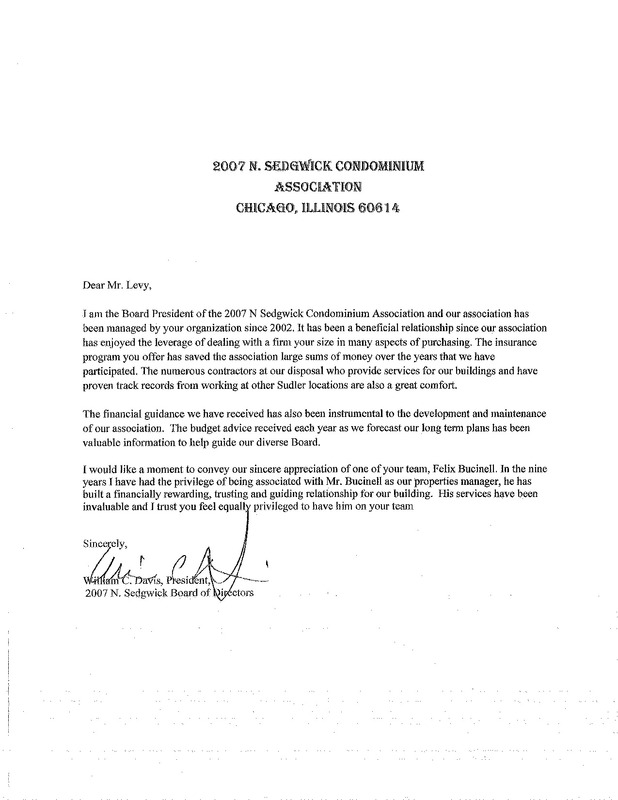 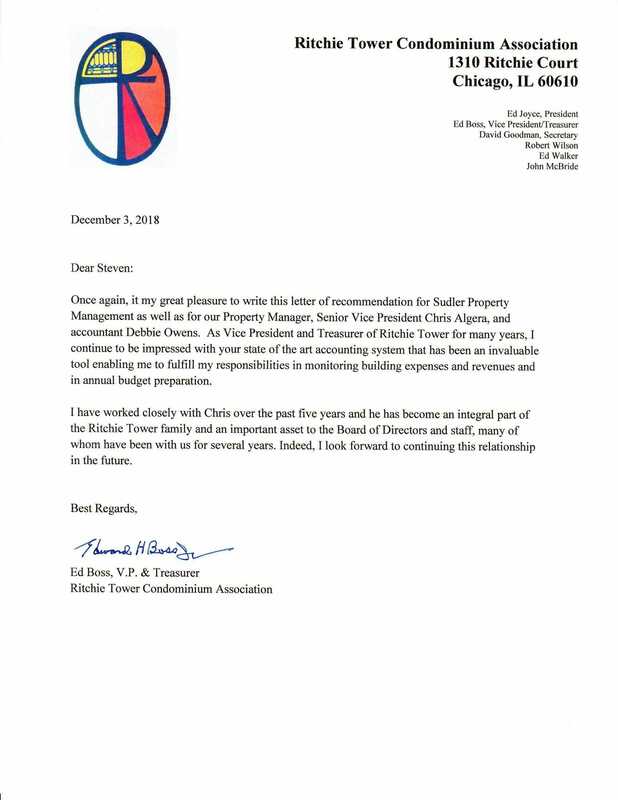 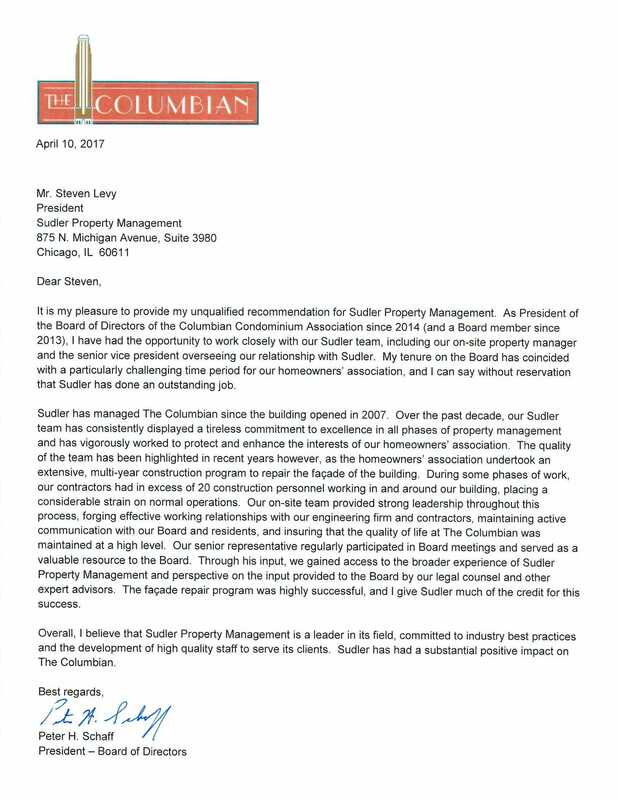 "As the board president for the last 9 years, and a board member for 12 years, my experience working with Sudler has been extraordinary. 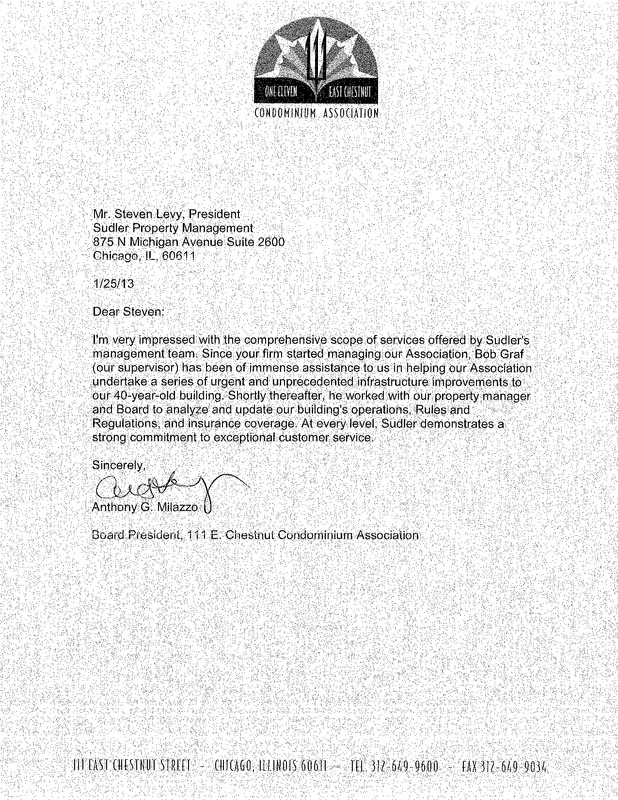 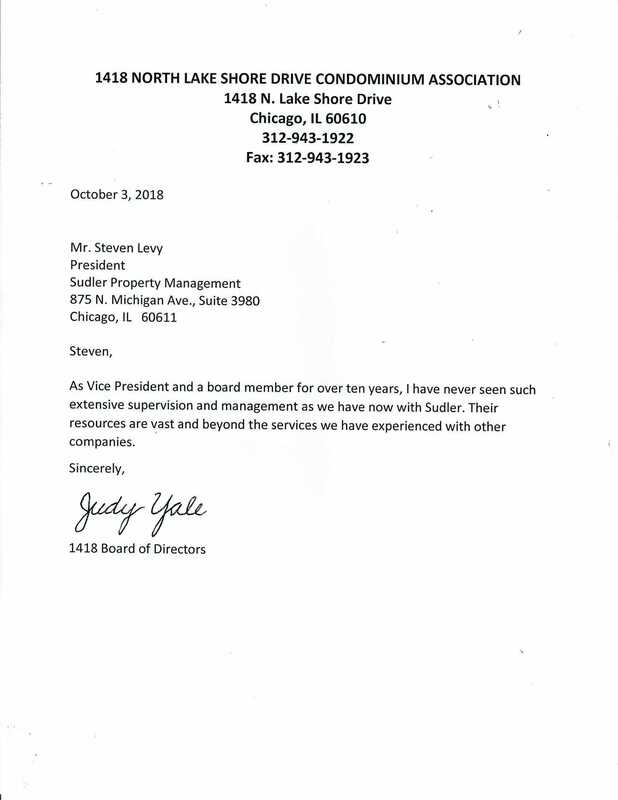 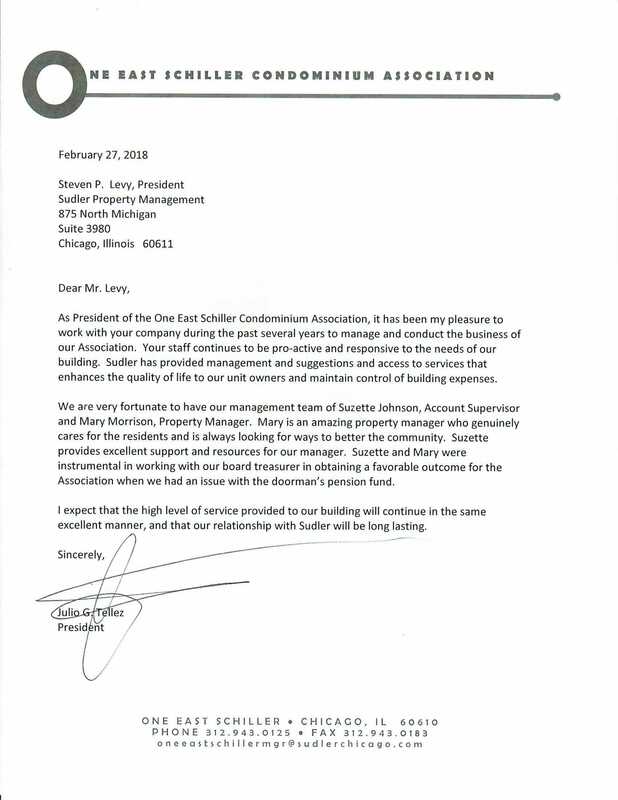 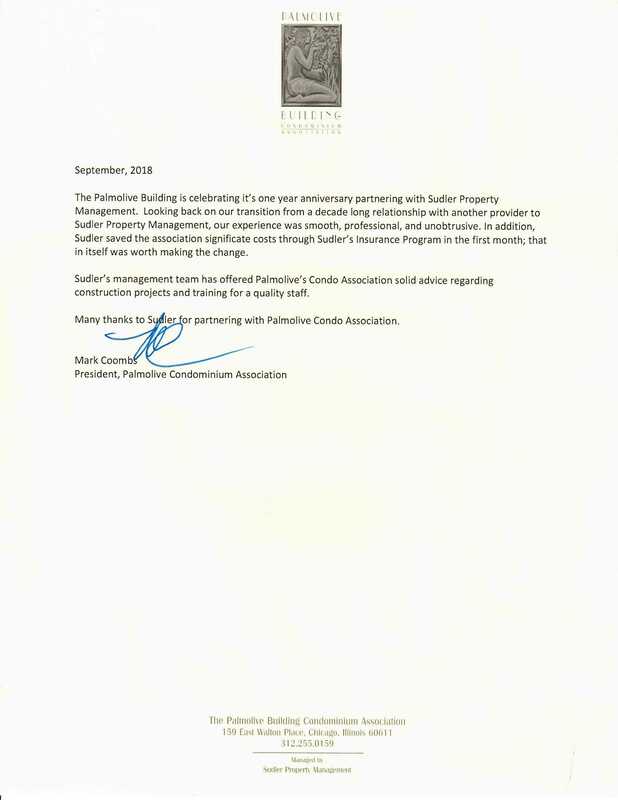 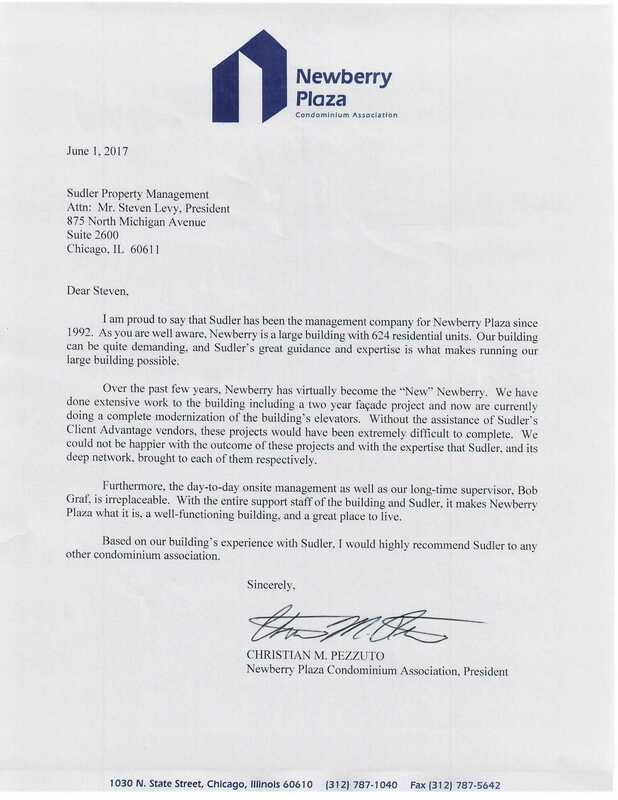 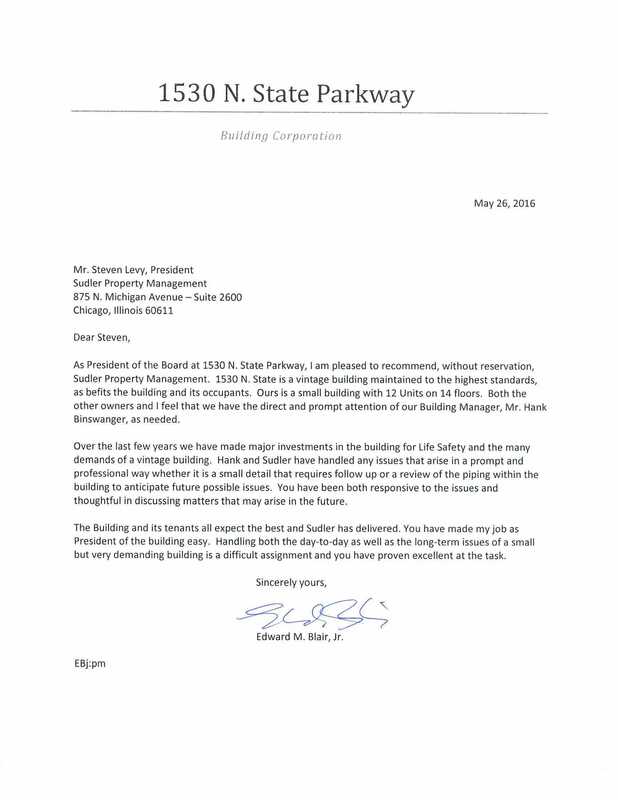 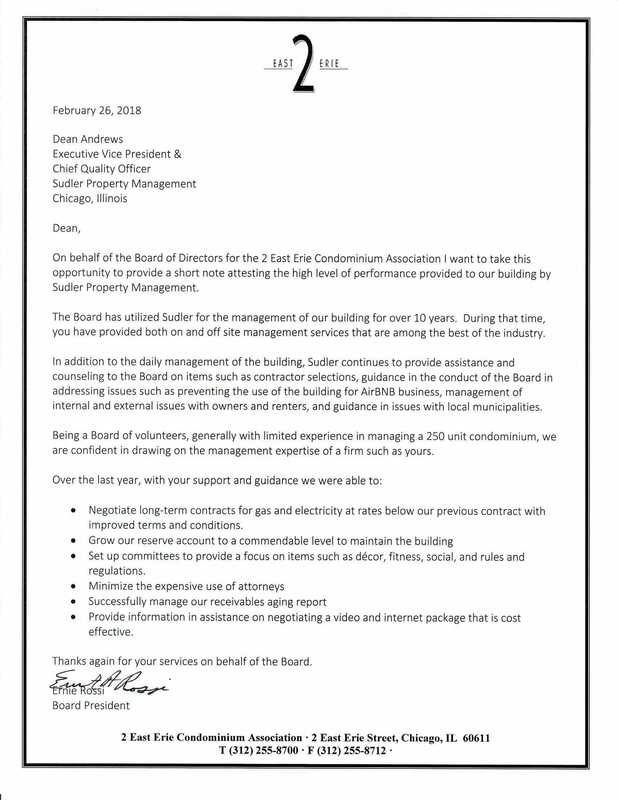 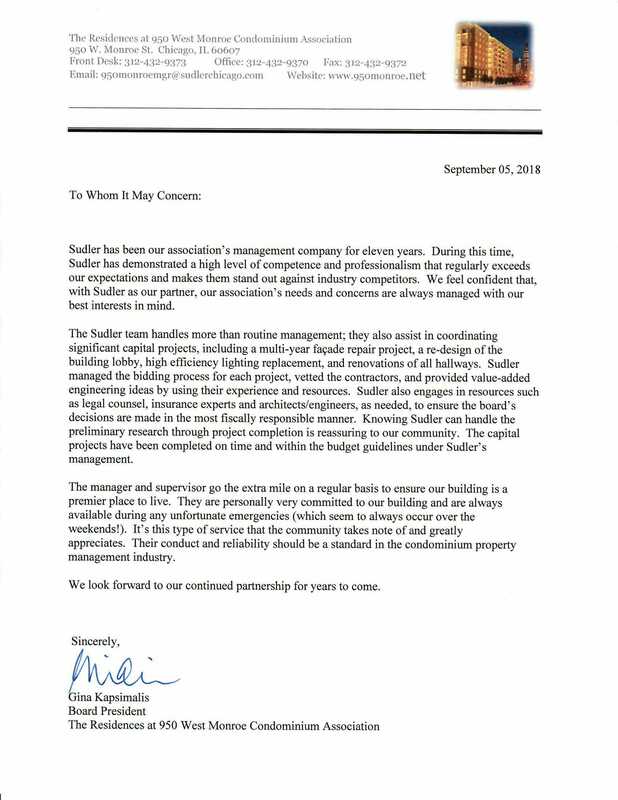 Not only has Sudler paid for their management fees by creating cost savings, but also you have added significant value in managing our building through tough and sometimes drastic times." 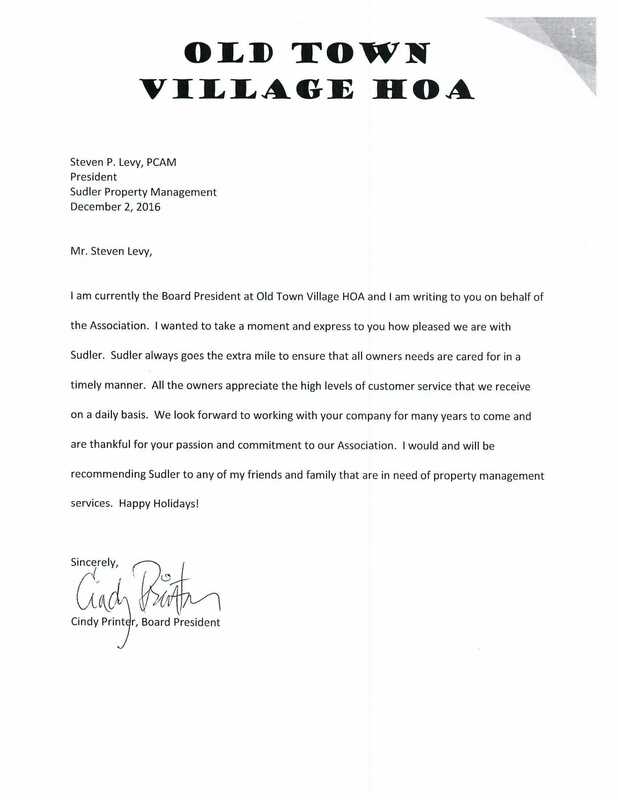 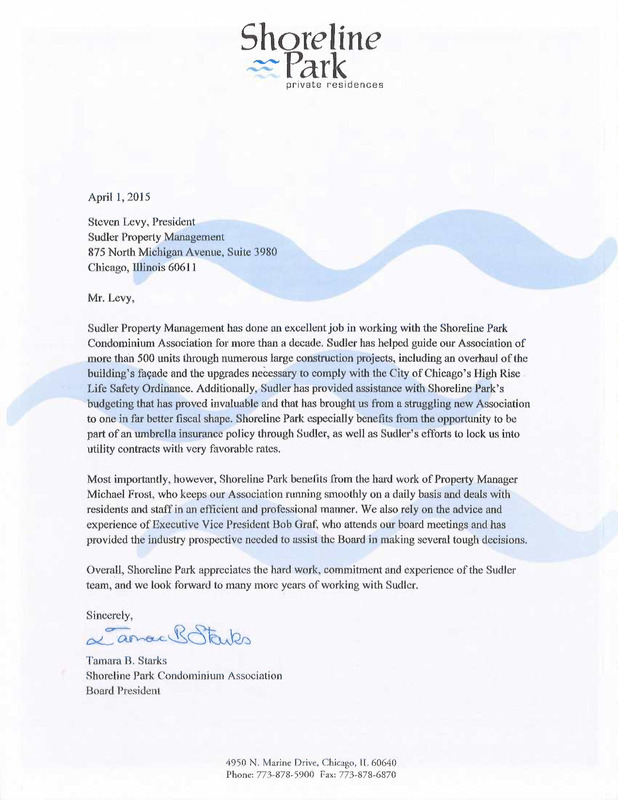 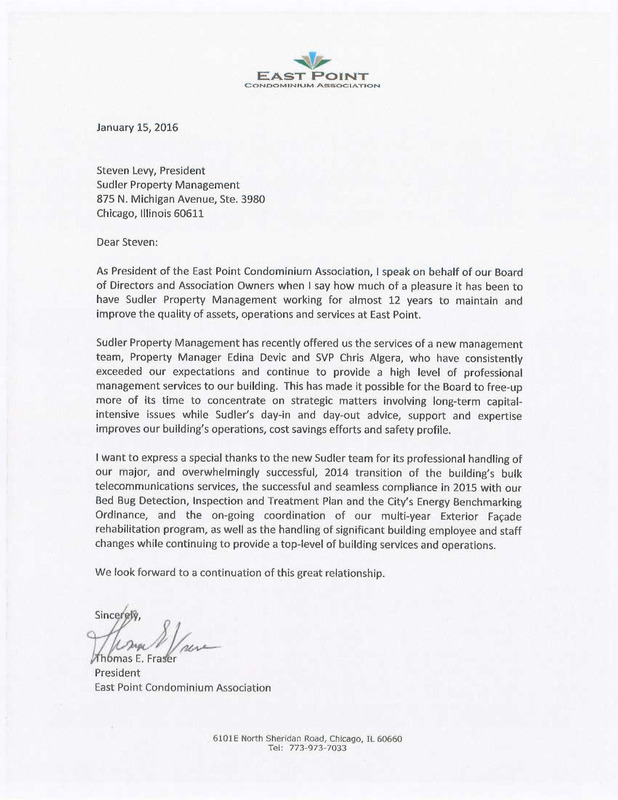 "Sudler has brought a new vision for our community that has included cost savings for the overall association, a community feeling and a team of vendors that have a common goal of satisfying its customers." 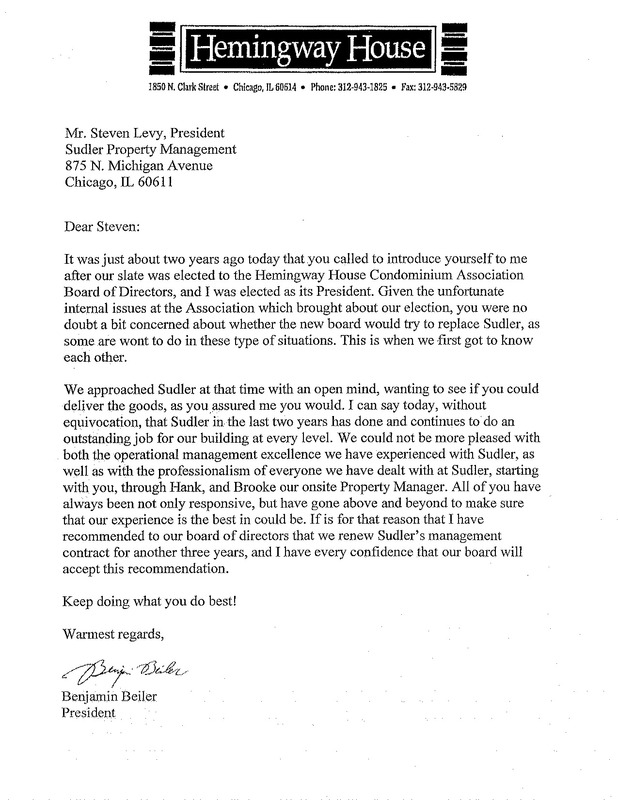 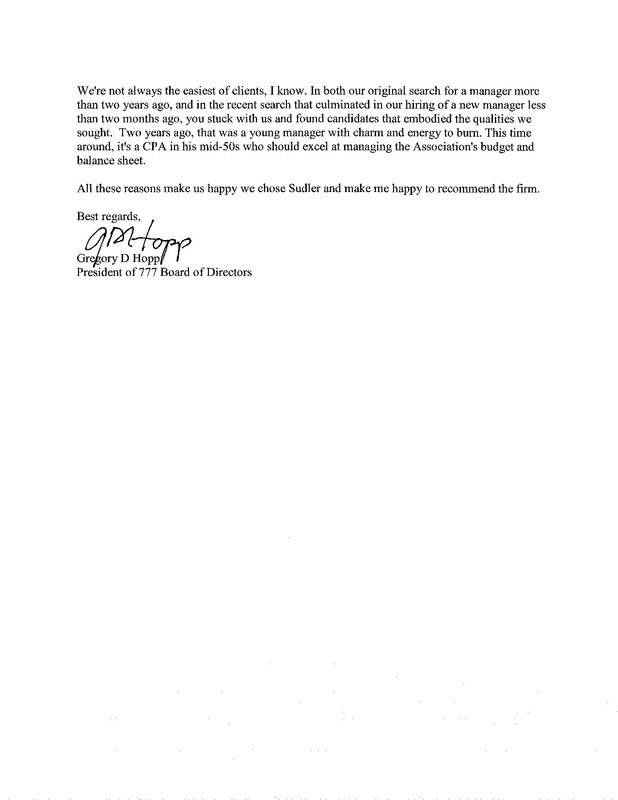 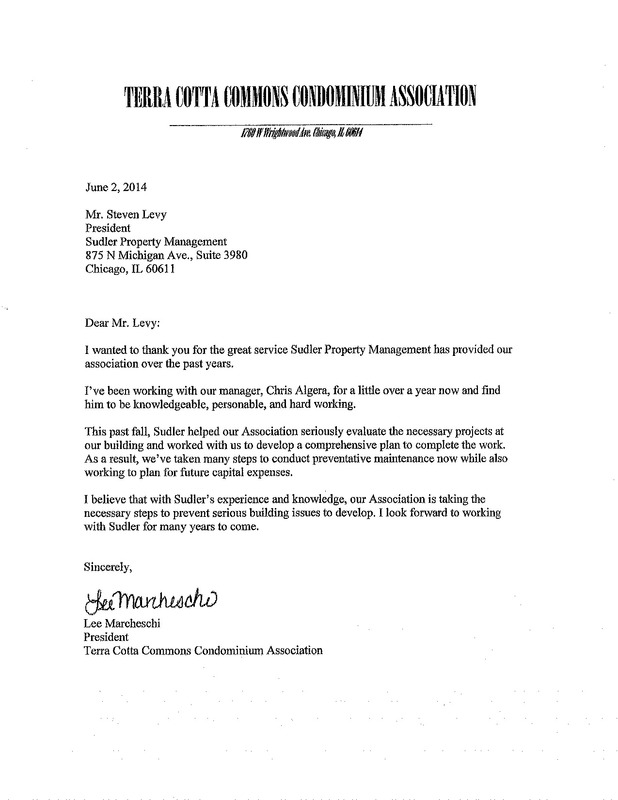 "Sudler's collective experience aids in reducing costs, effectively running the association... 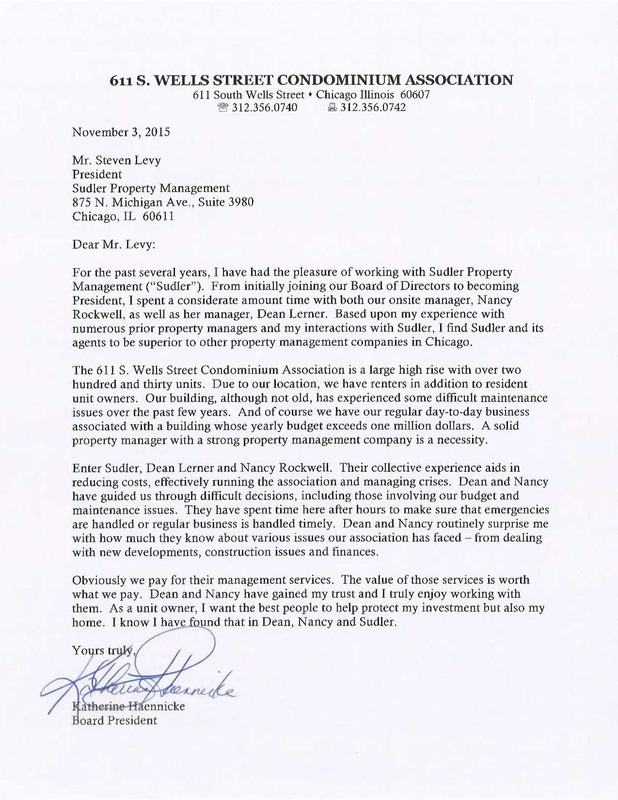 The value of those services is worth what we pay." 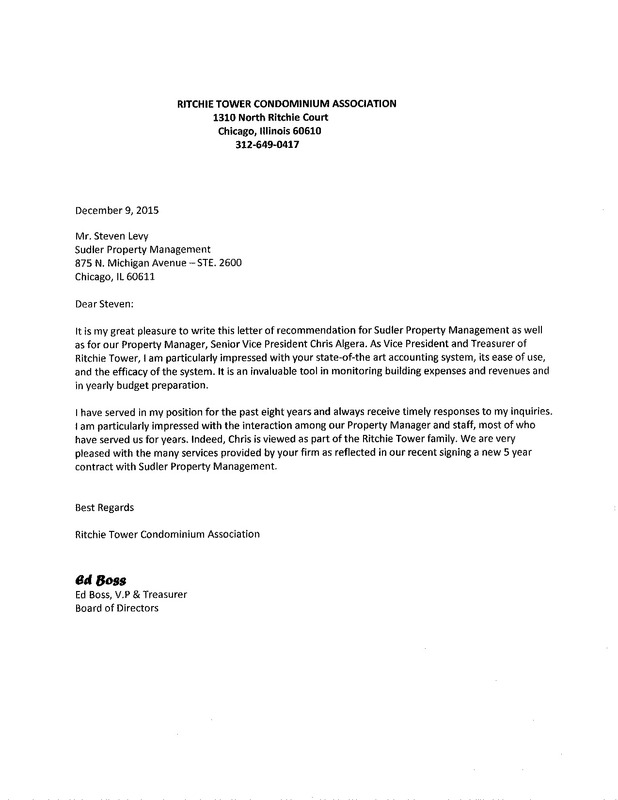 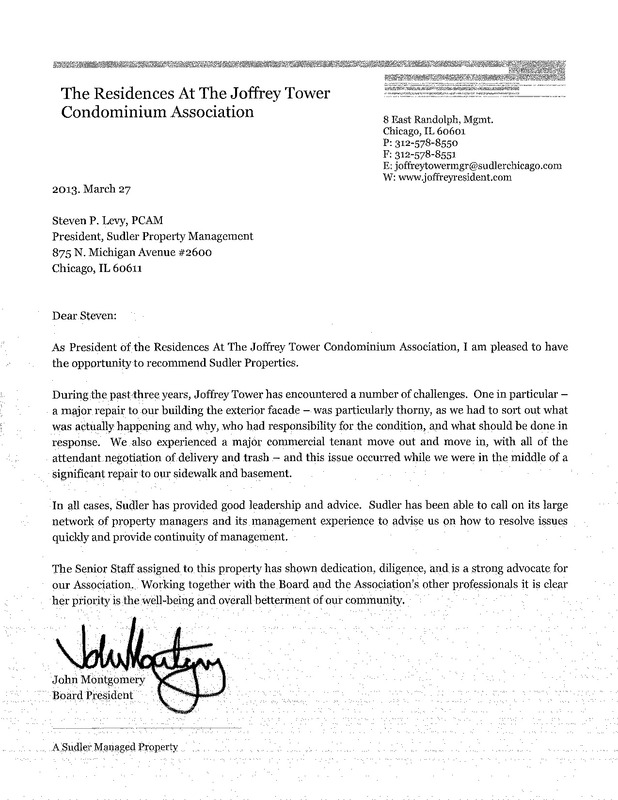 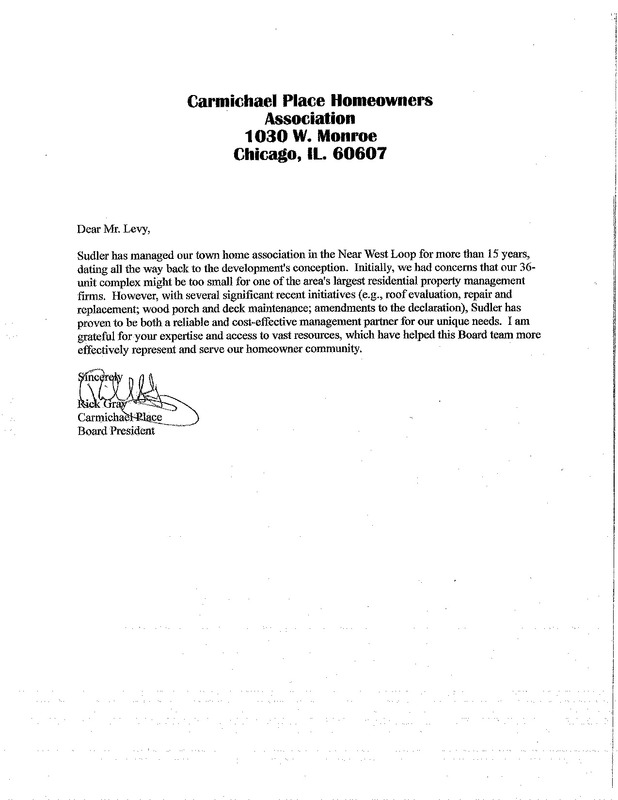 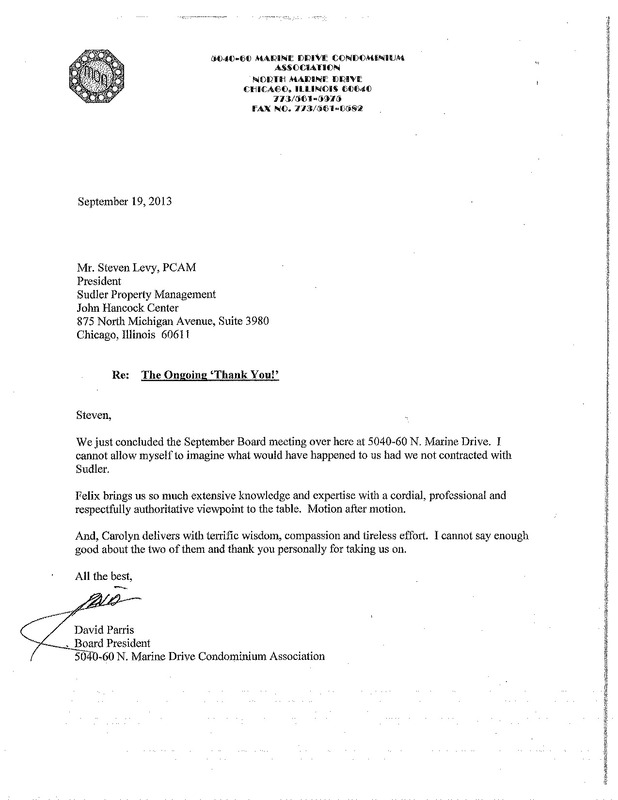 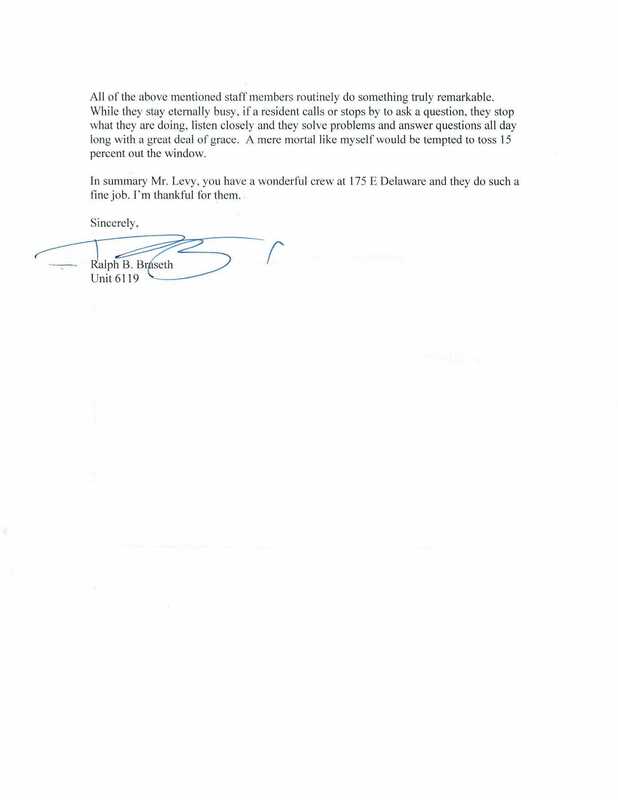 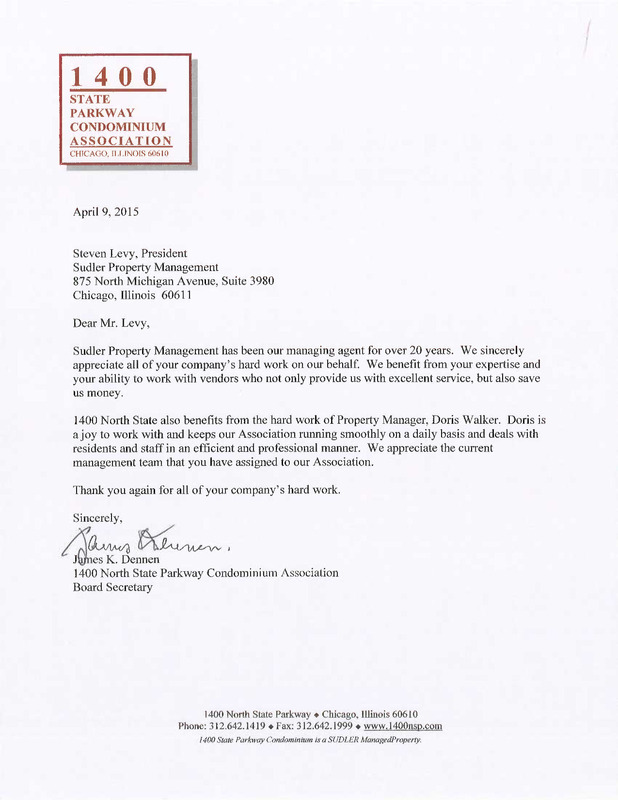 " We could not be more pleased with the service we receive. 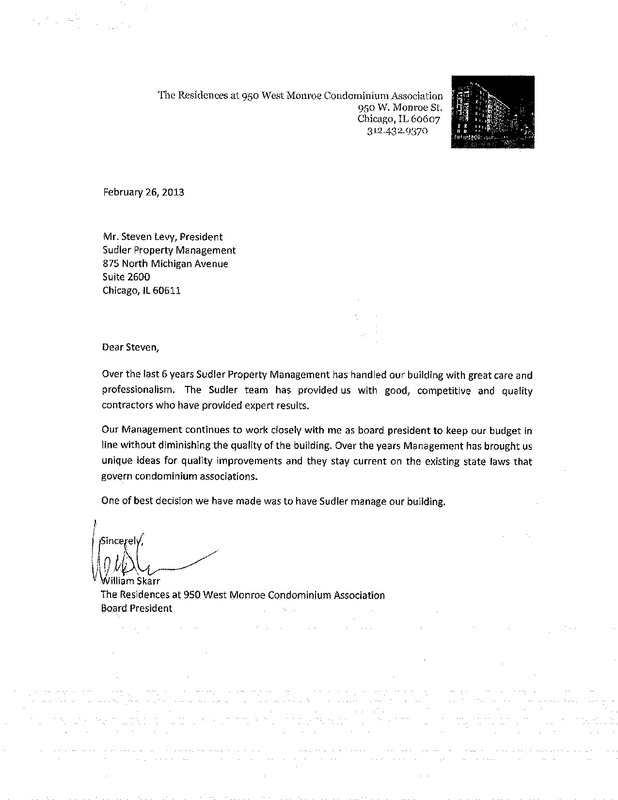 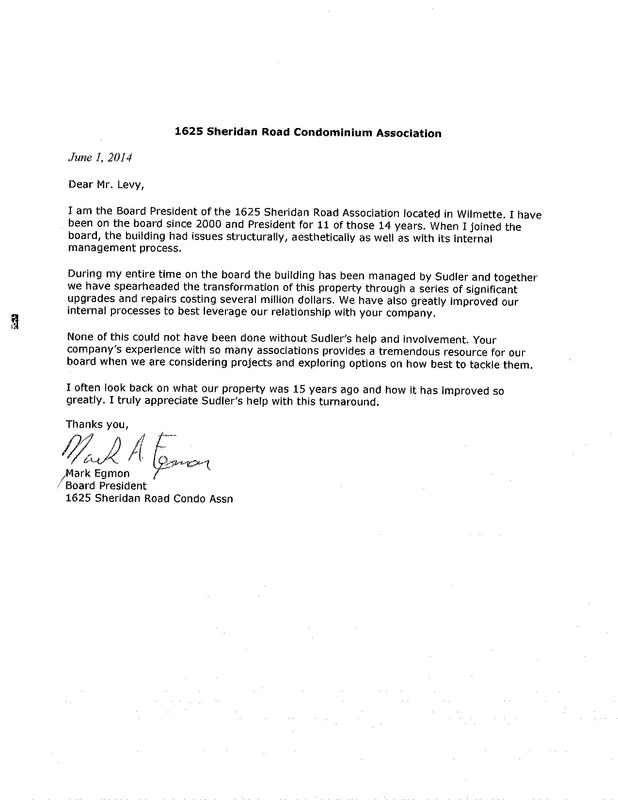 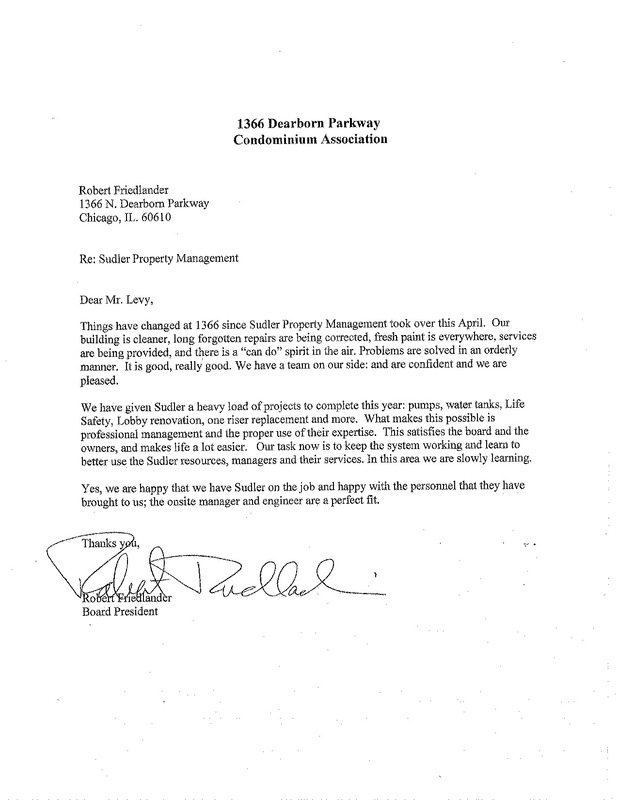 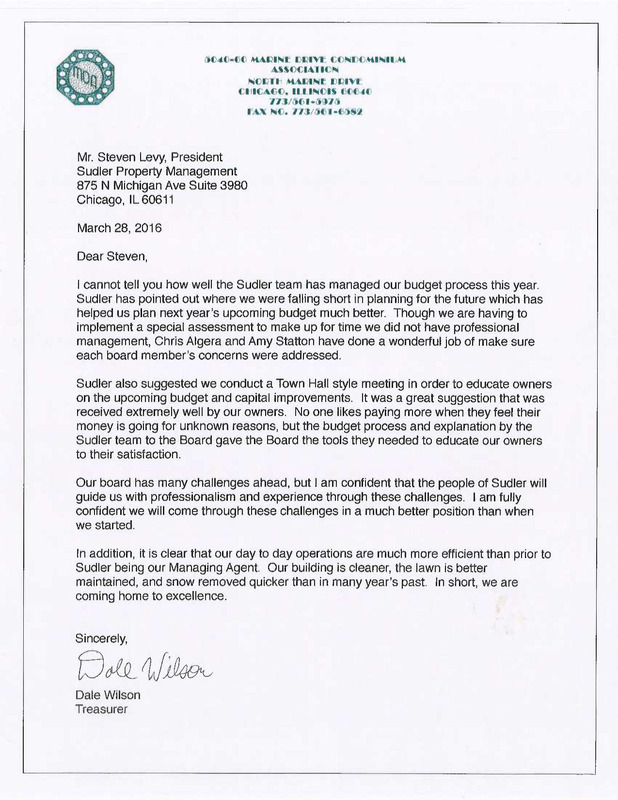 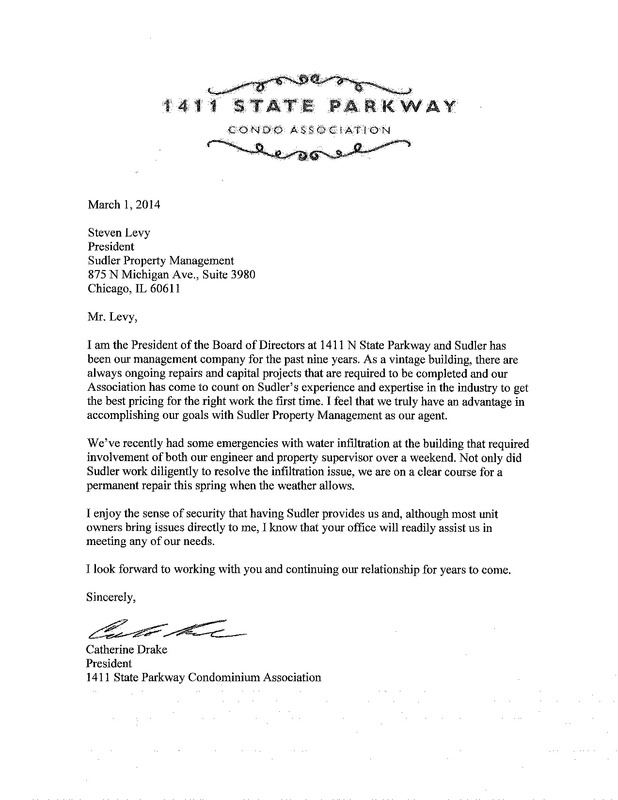 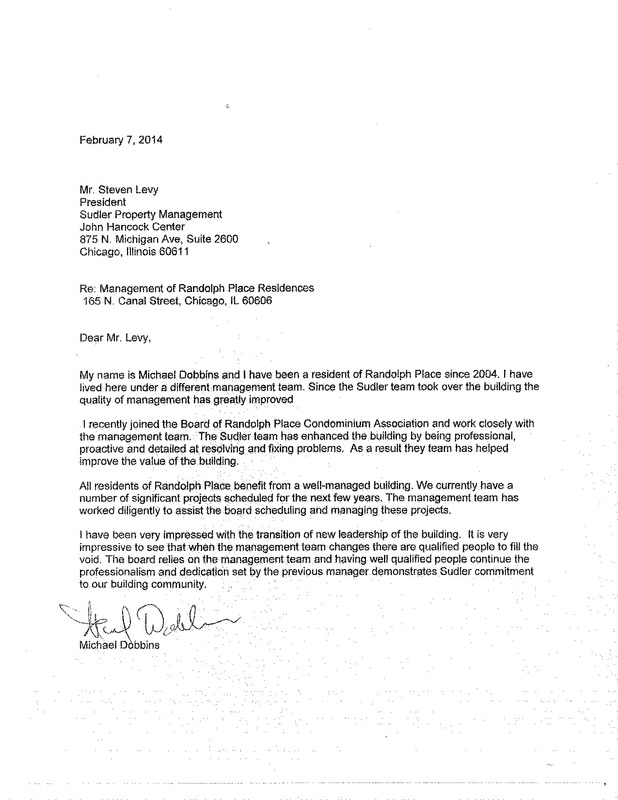 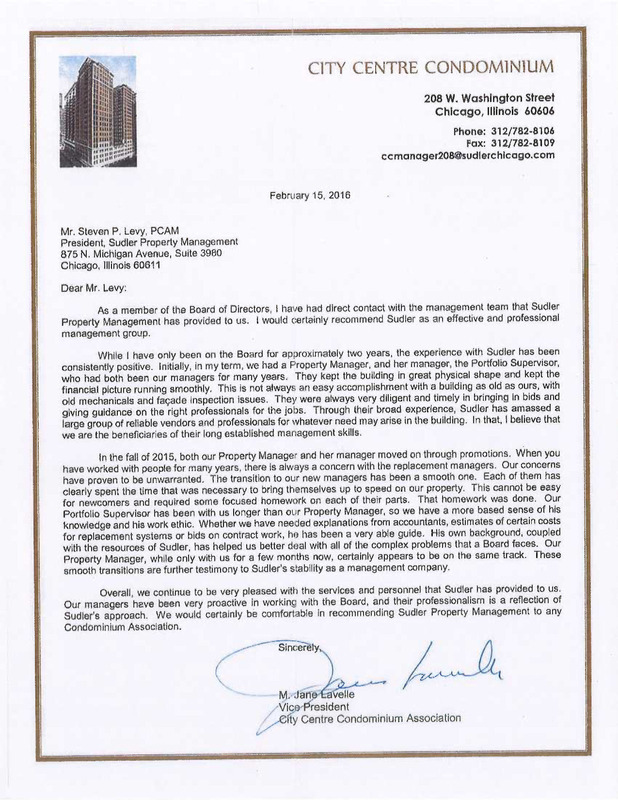 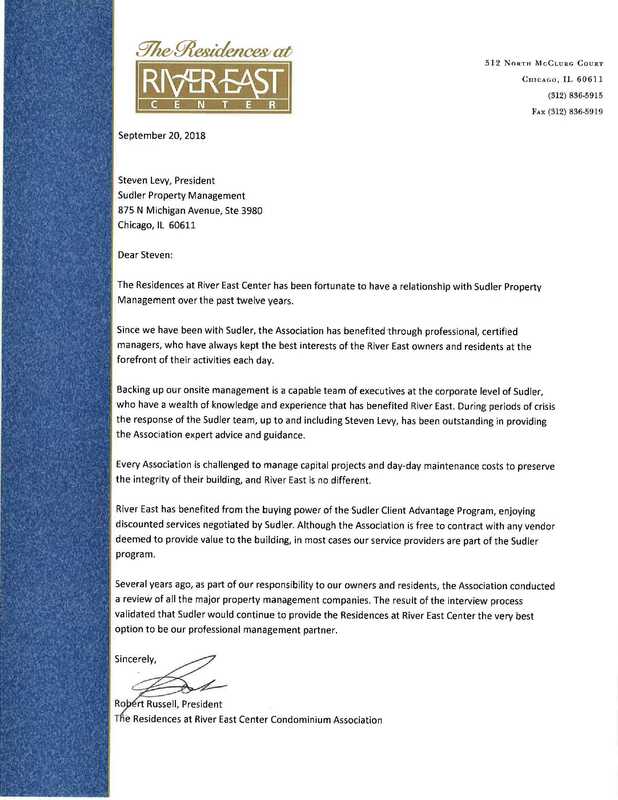 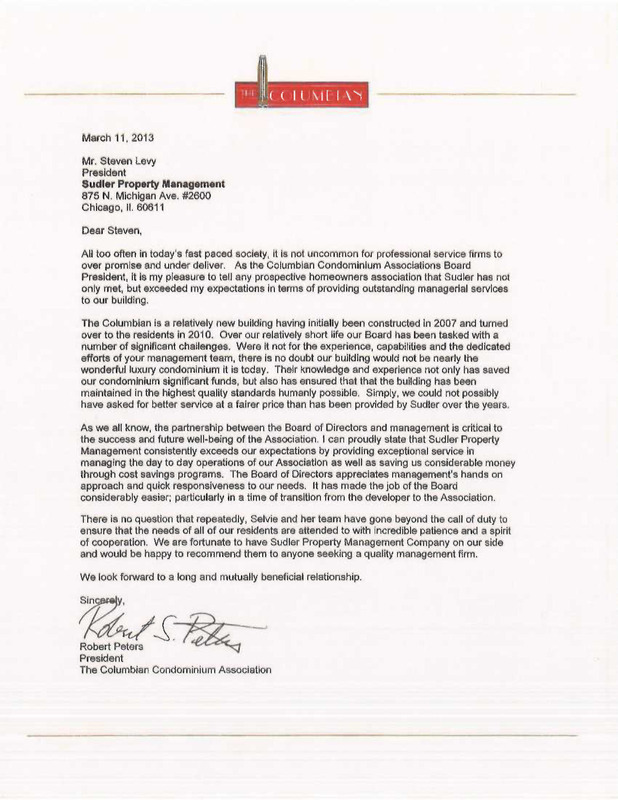 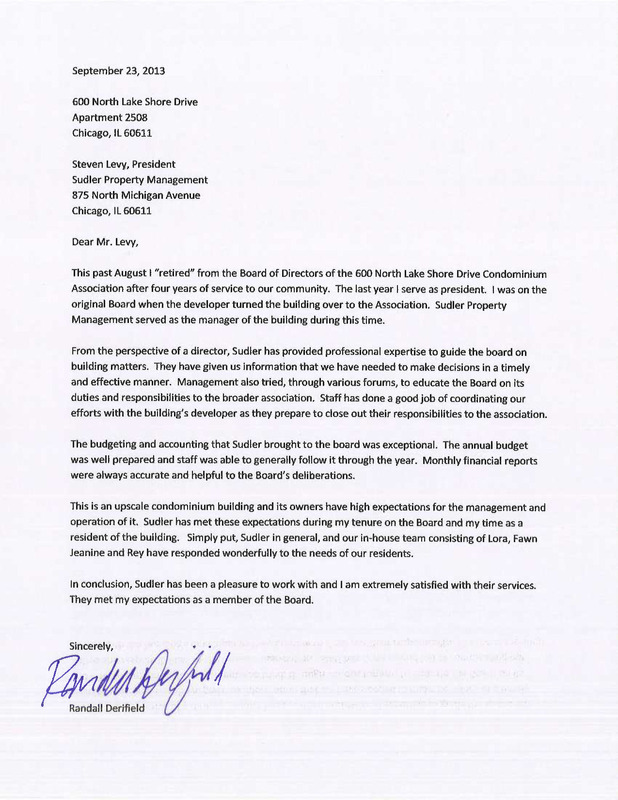 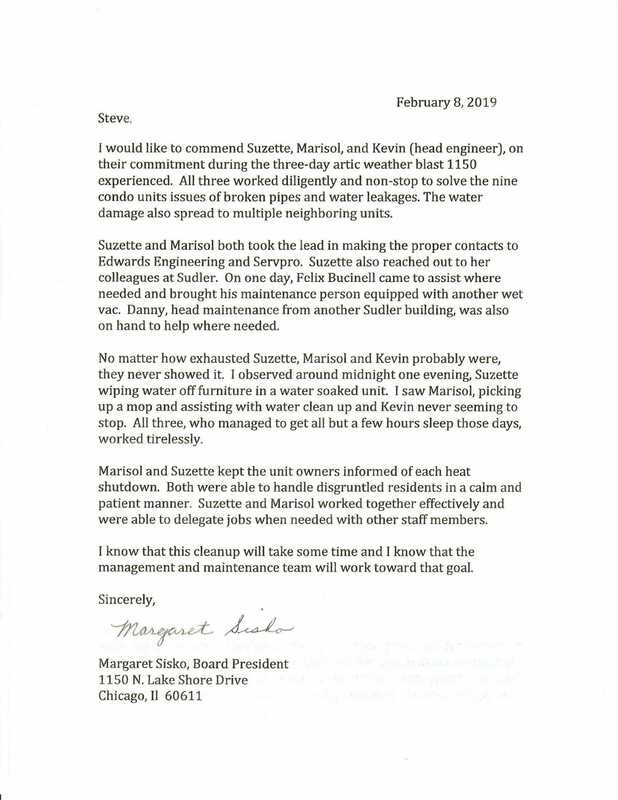 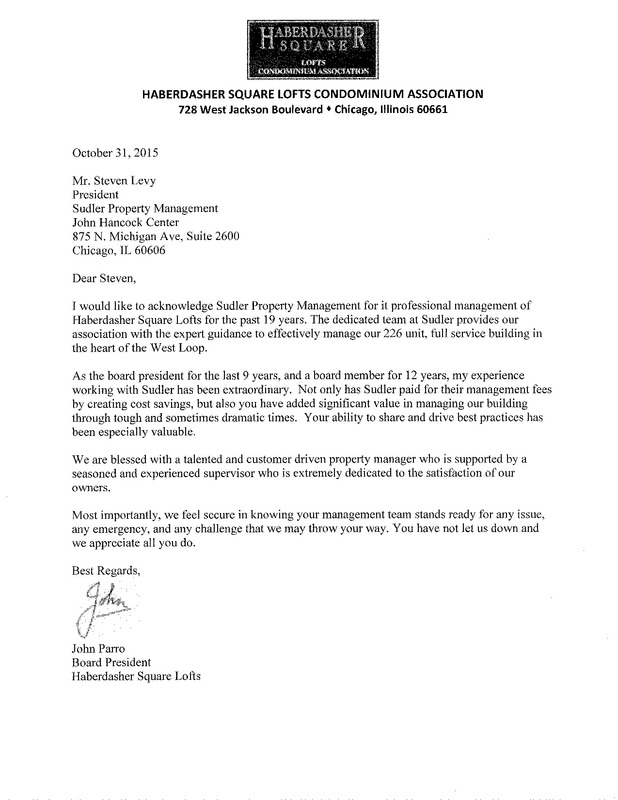 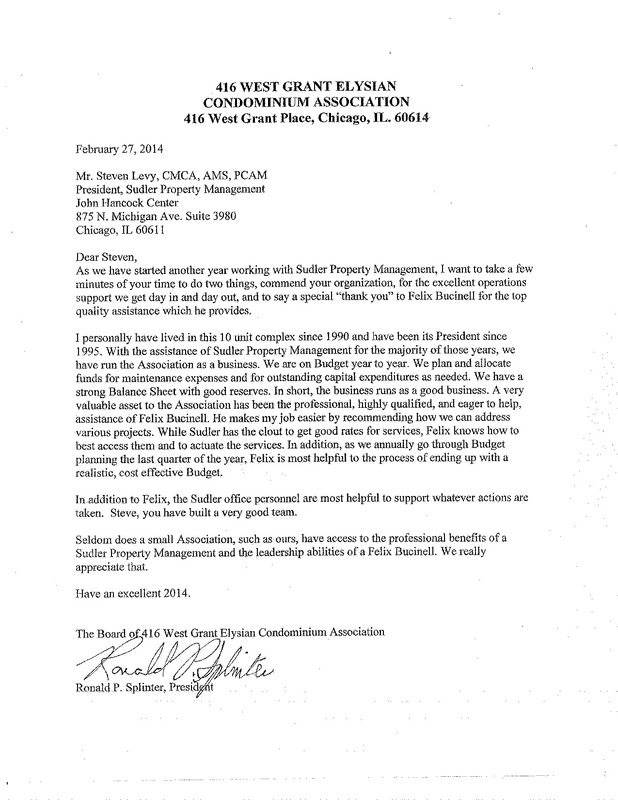 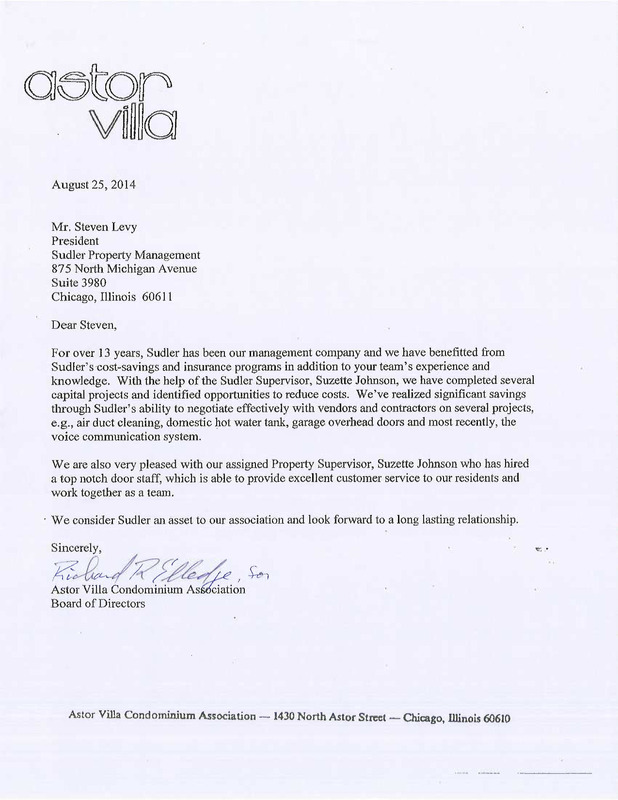 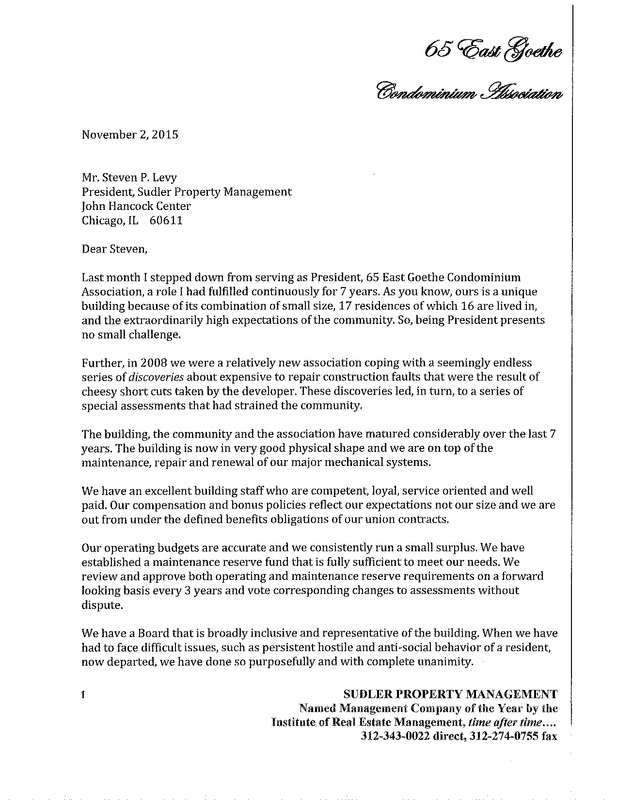 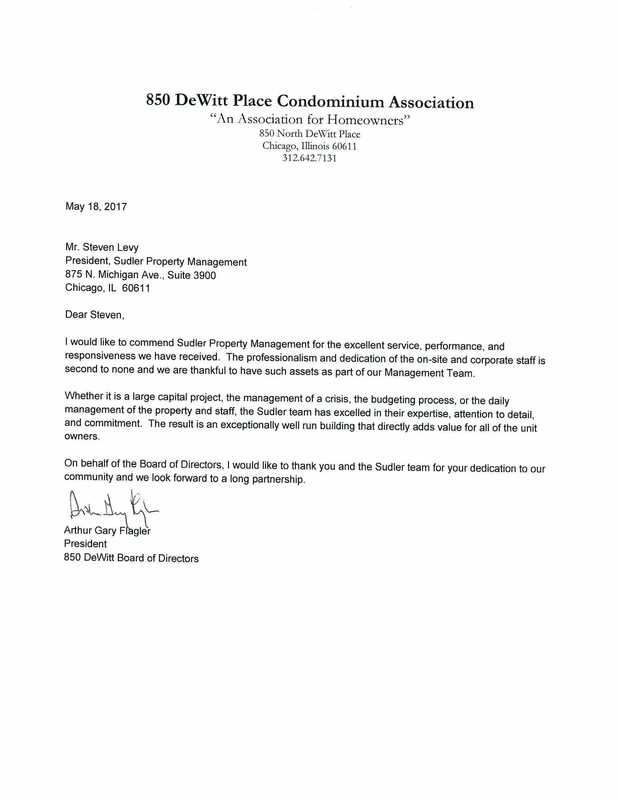 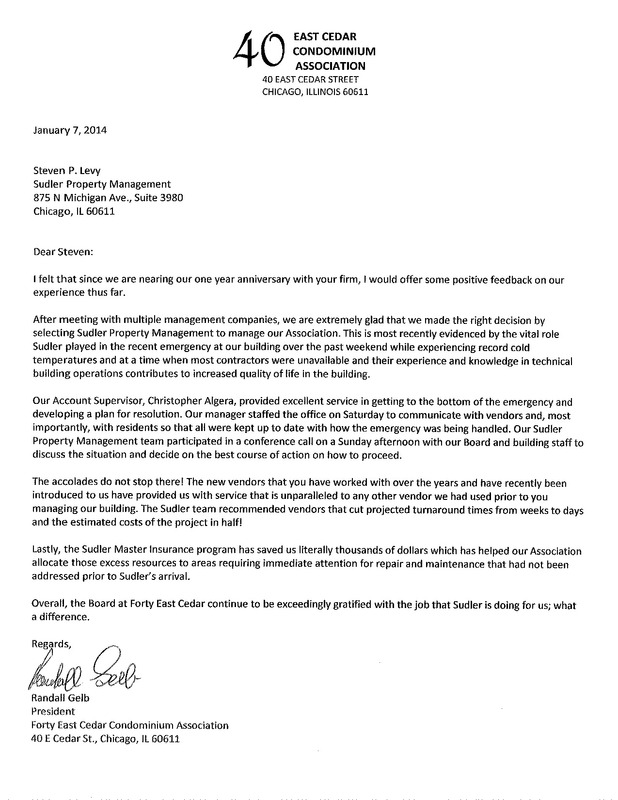 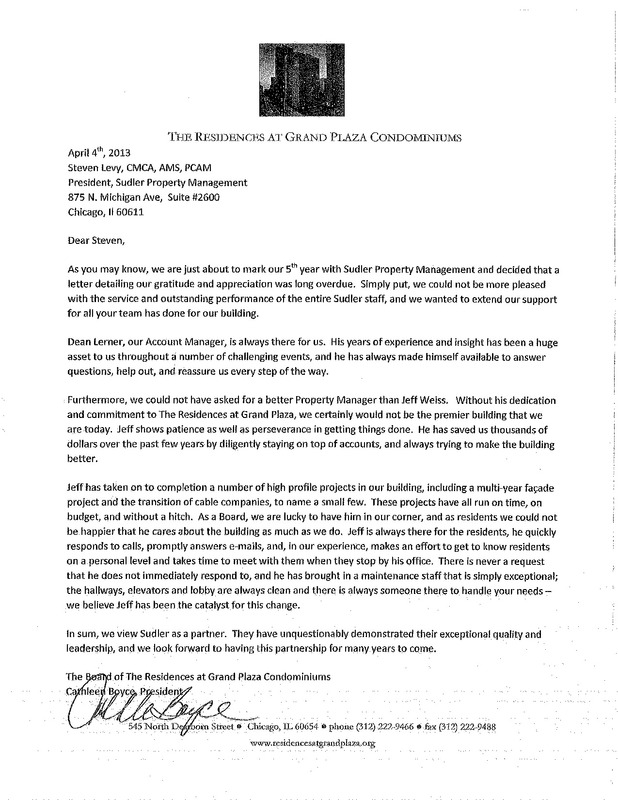 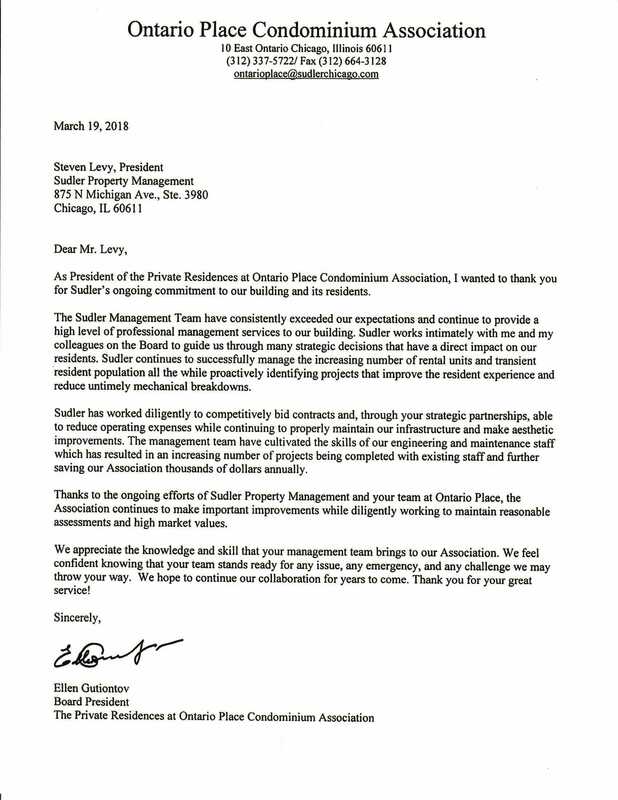 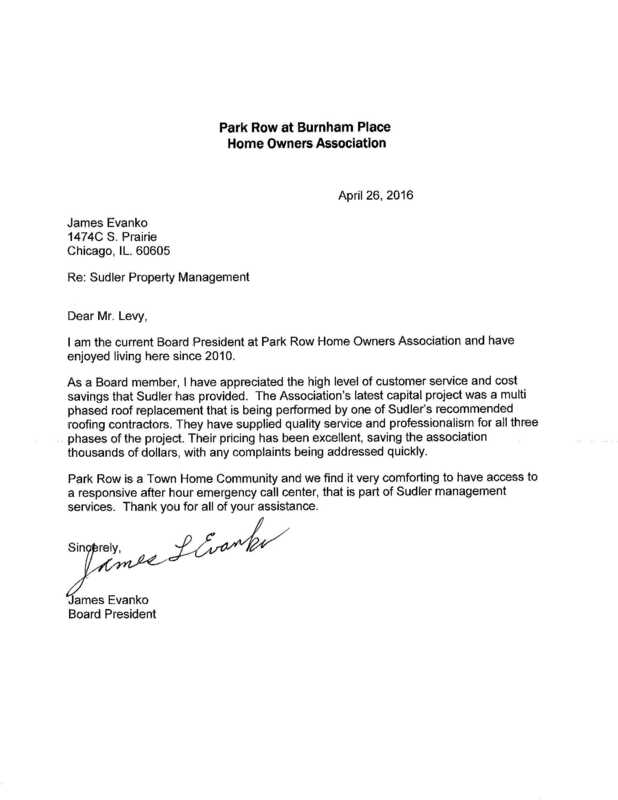 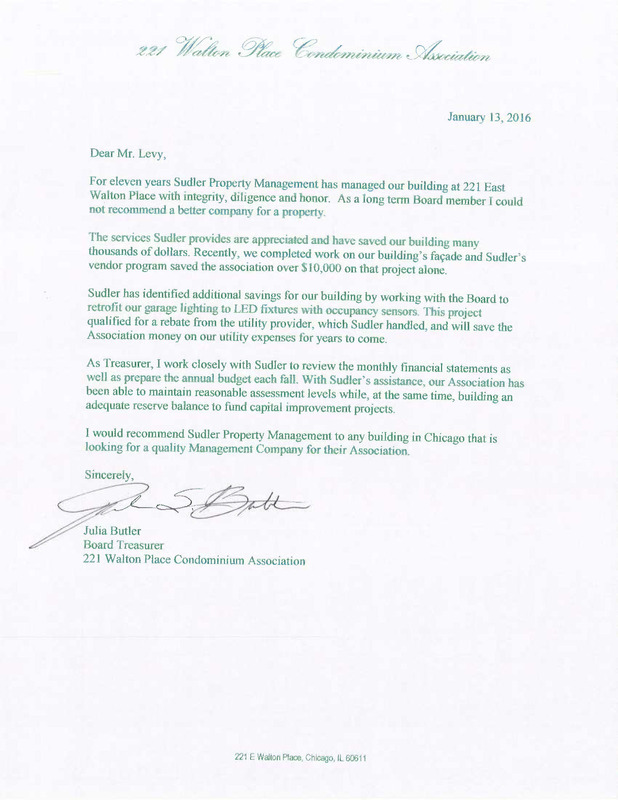 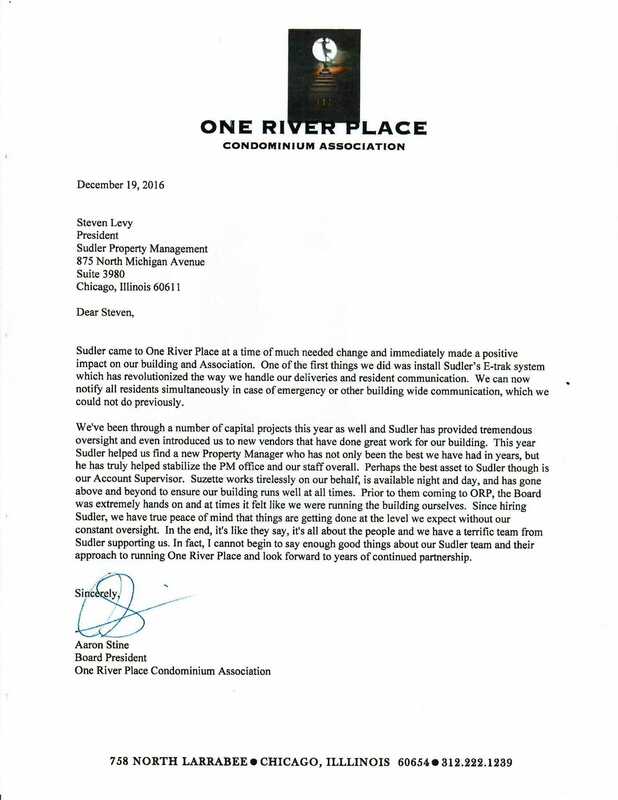 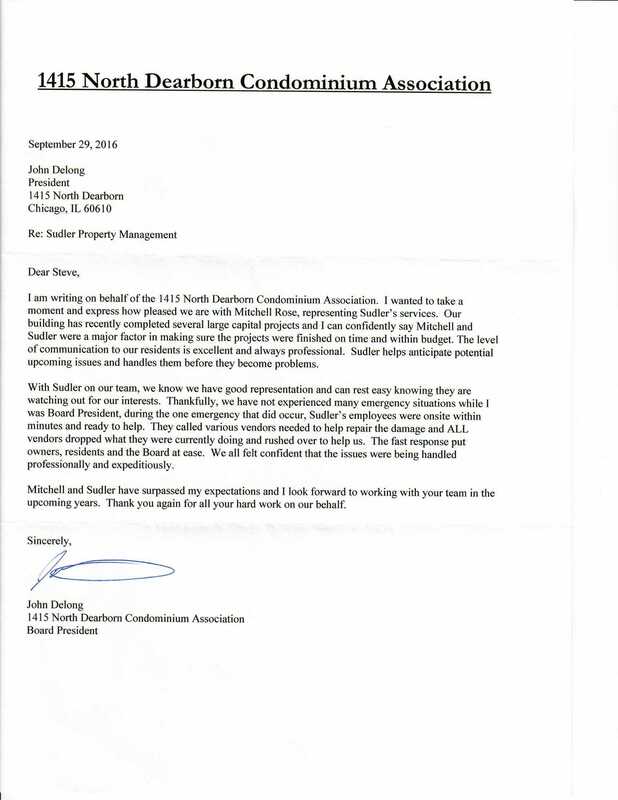 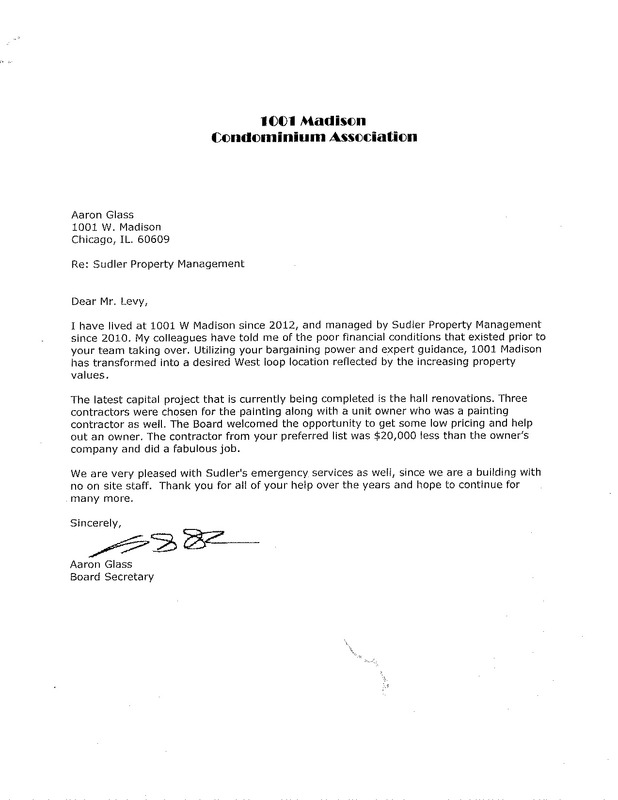 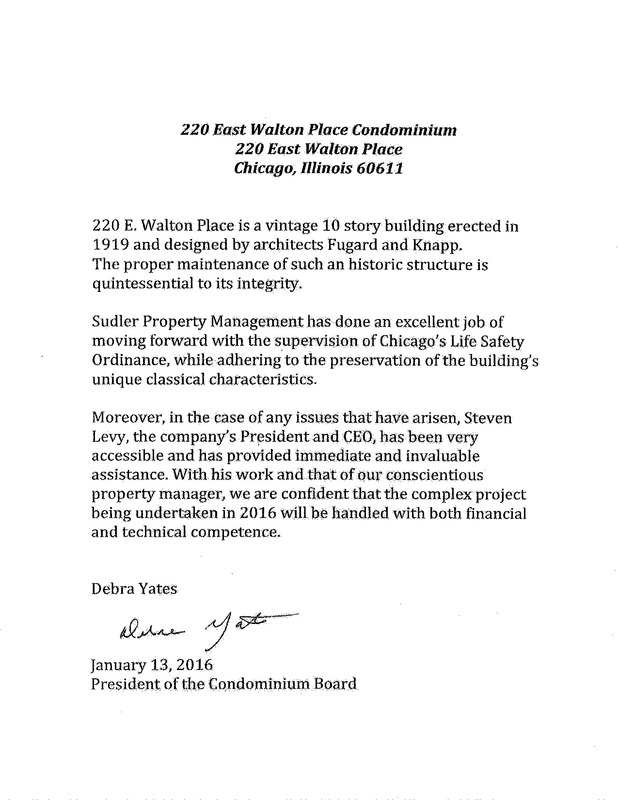 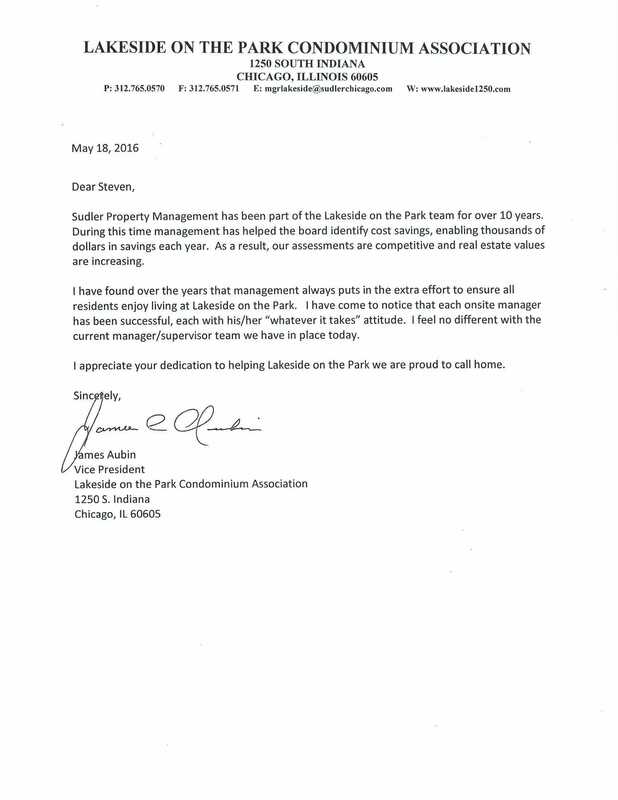 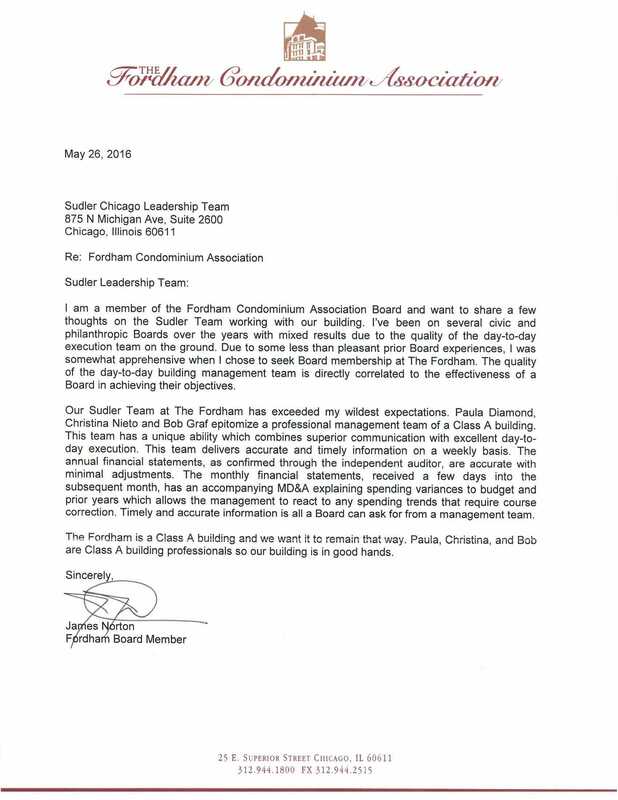 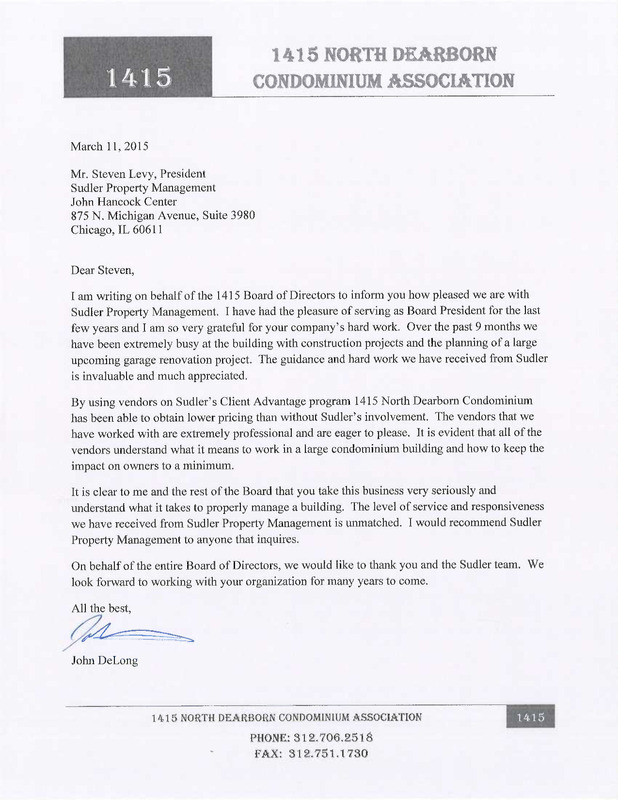 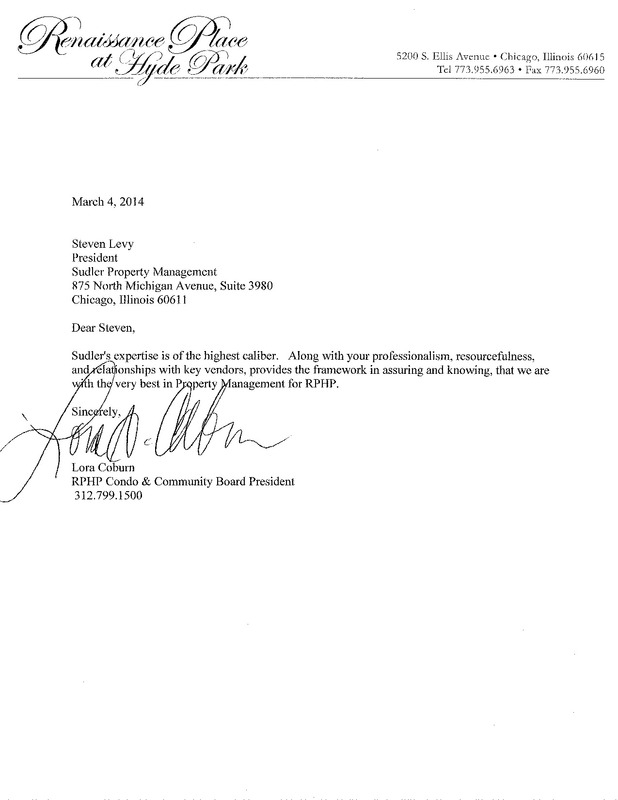 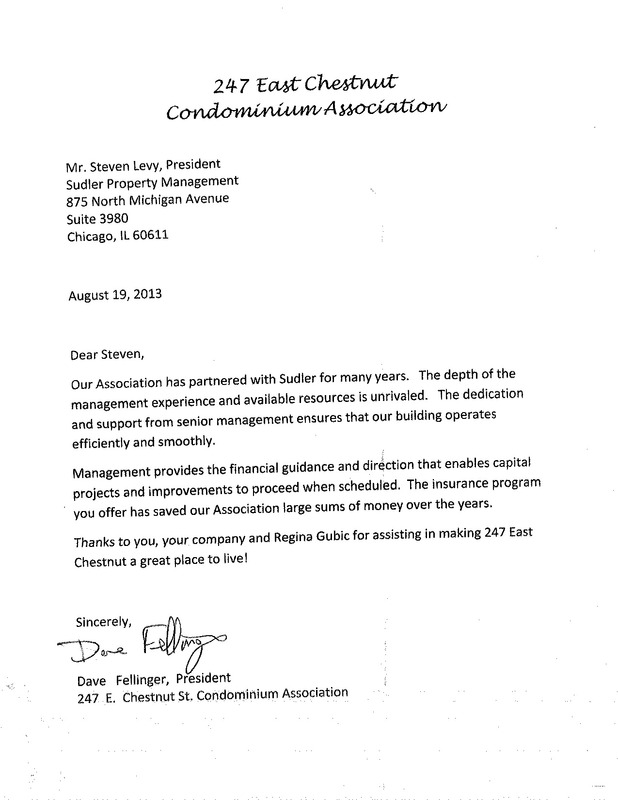 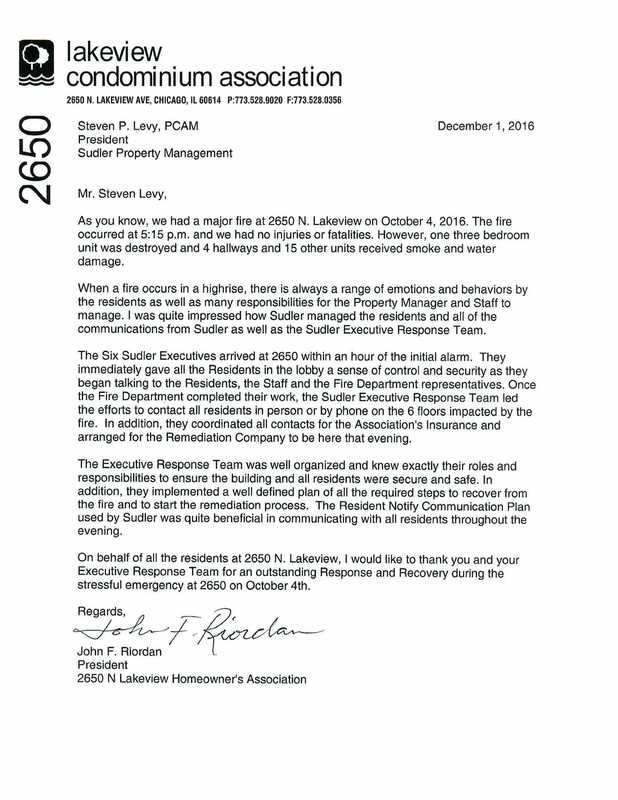 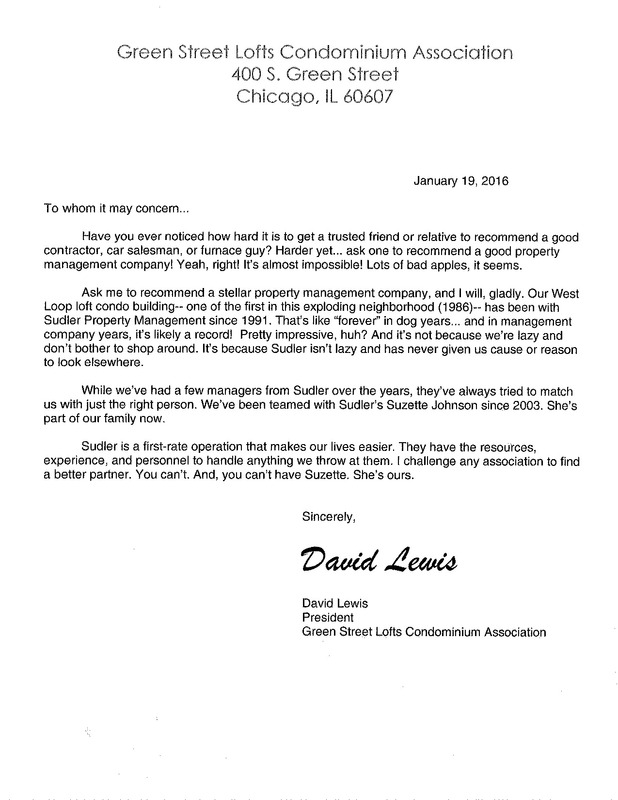 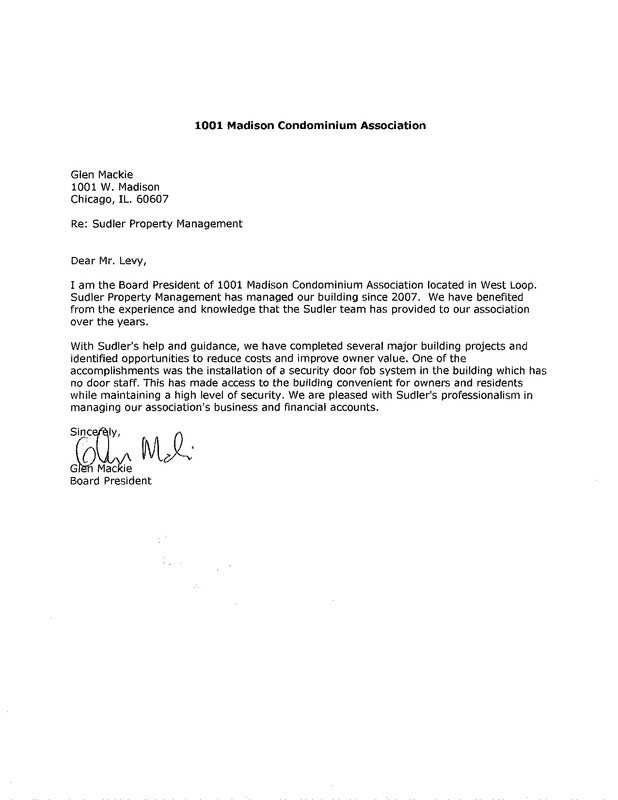 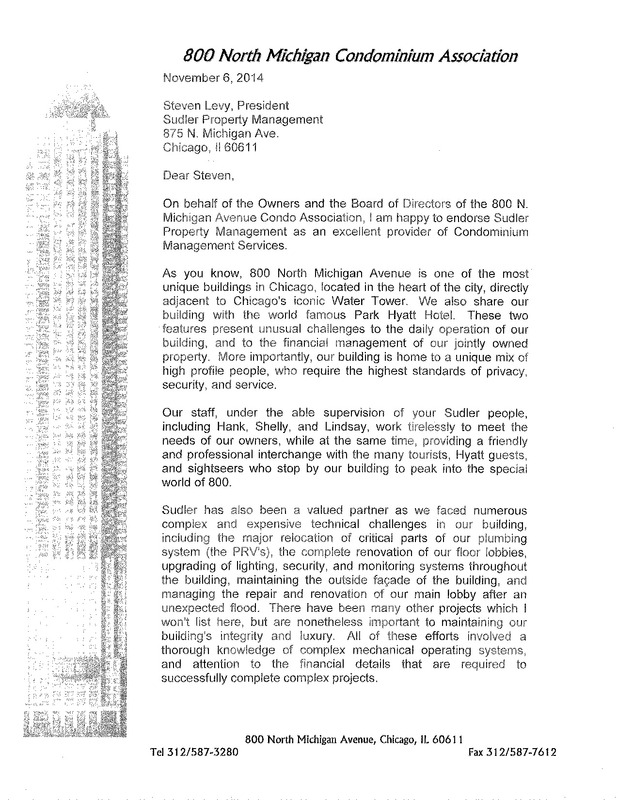 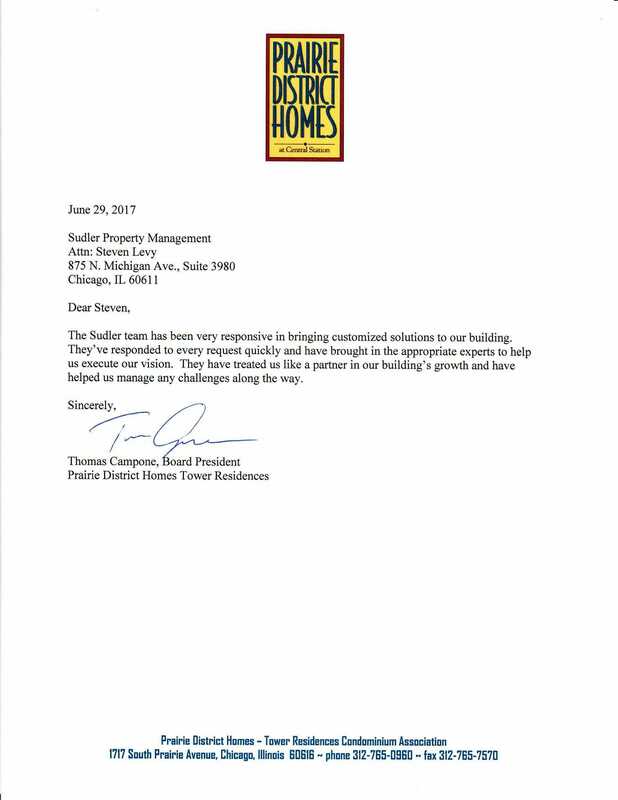 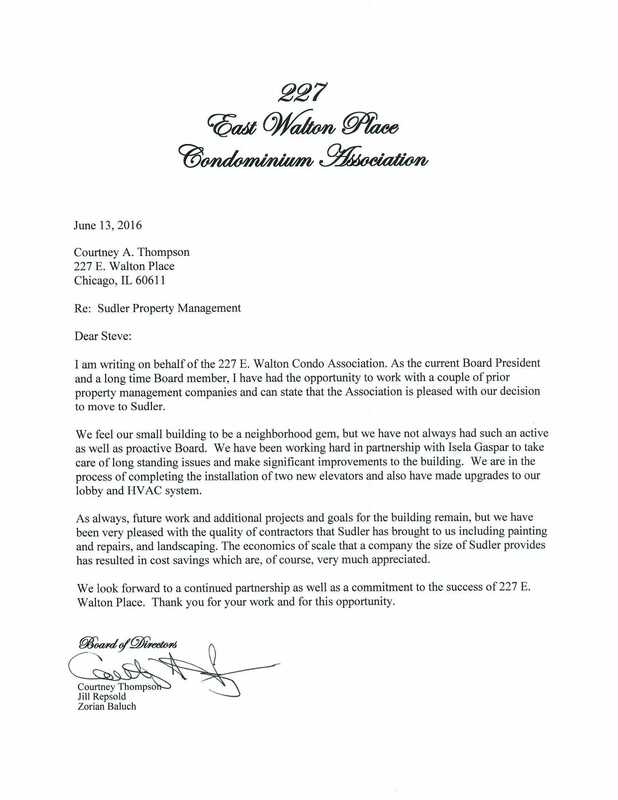 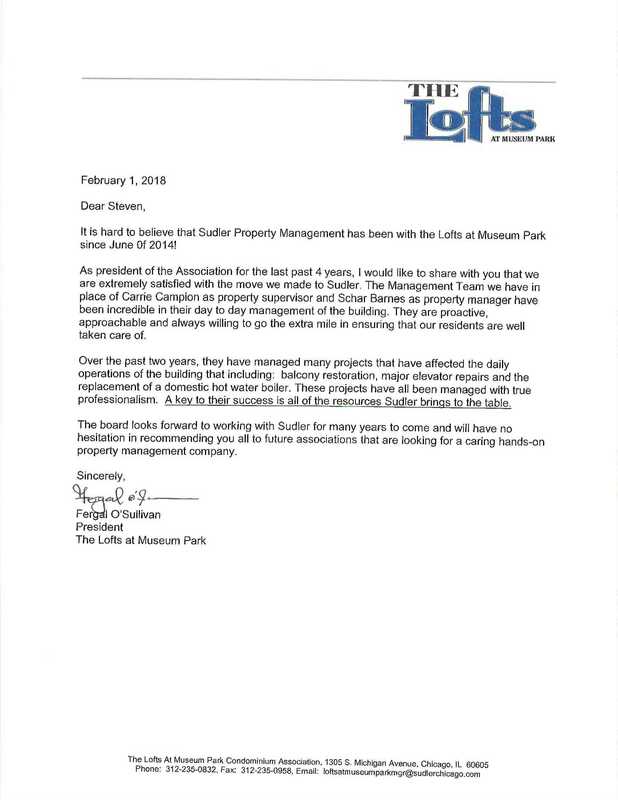 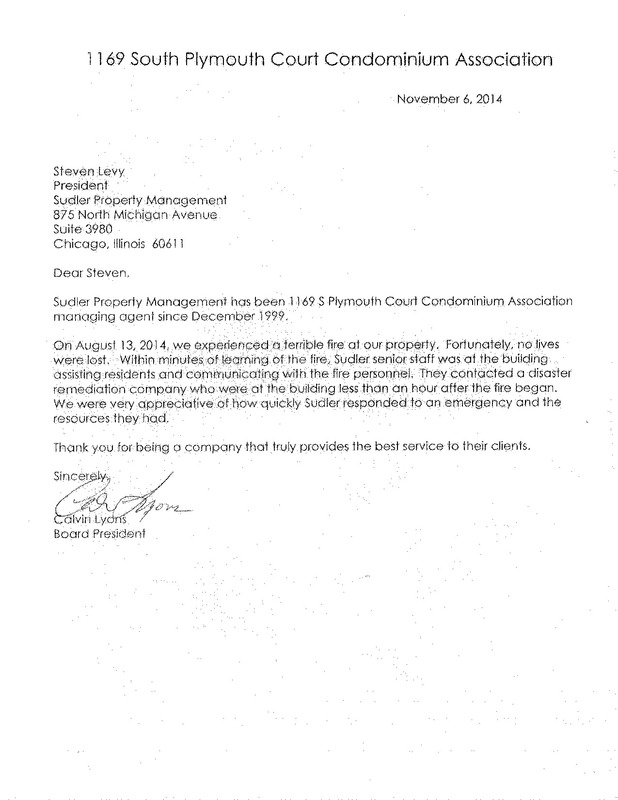 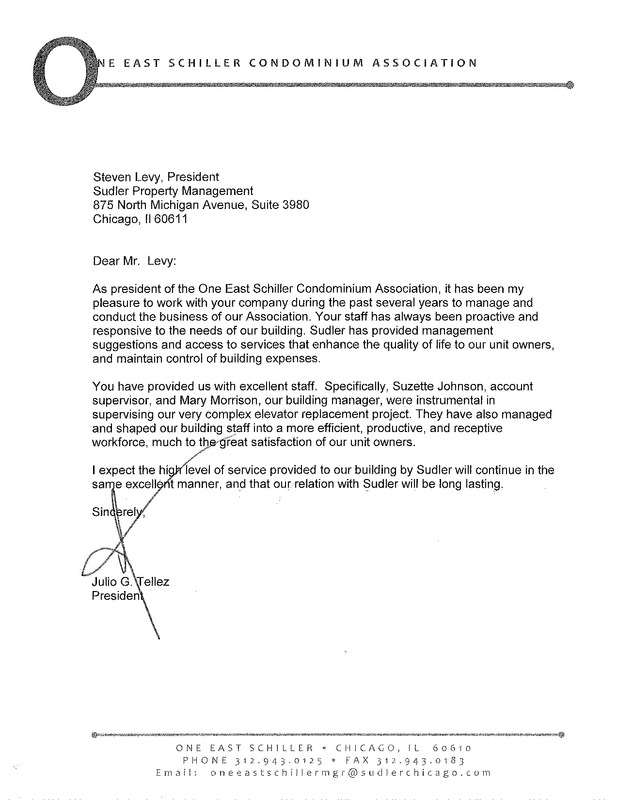 Because of Sudler's preparedness, hard work, and teamwork, our building is running great and continues to flourish. 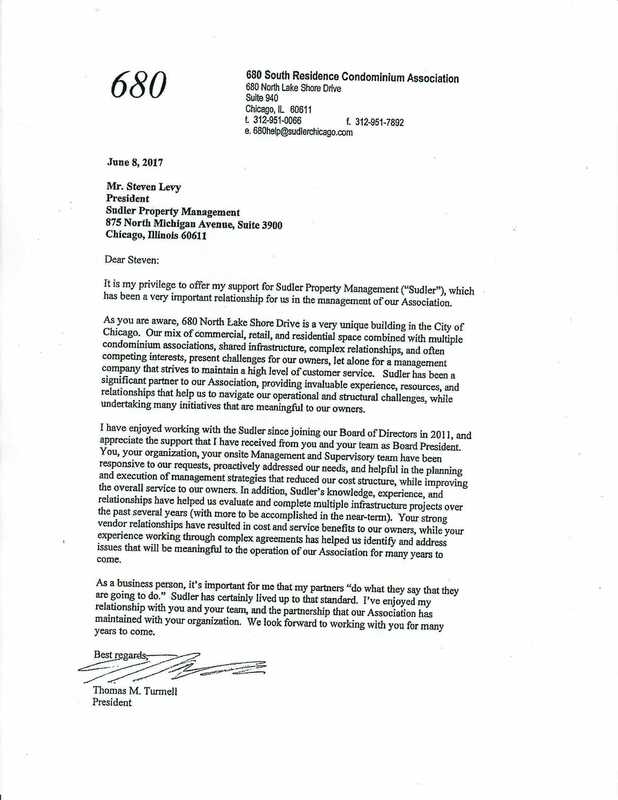 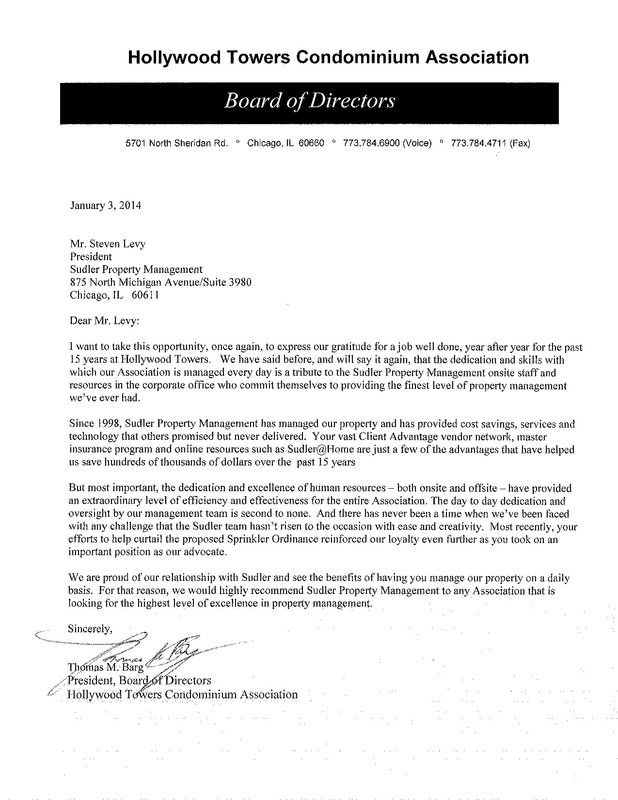 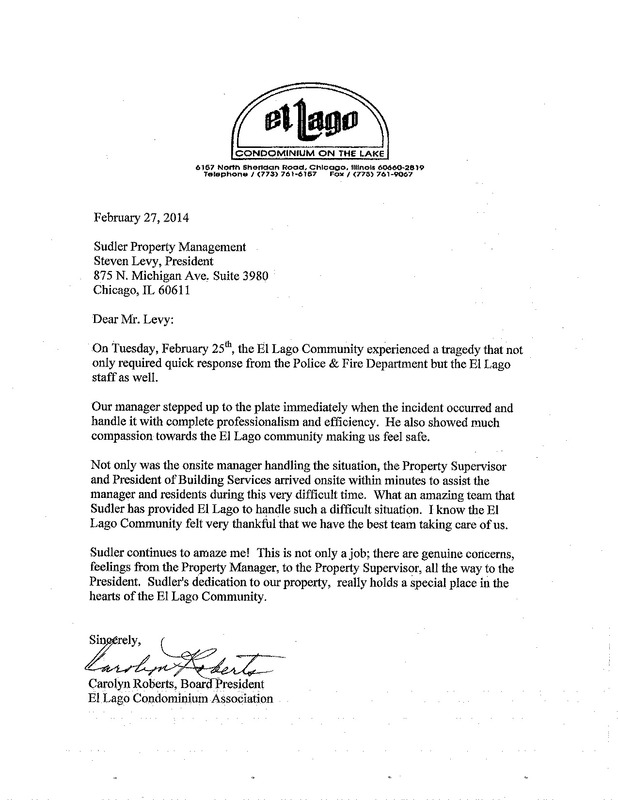 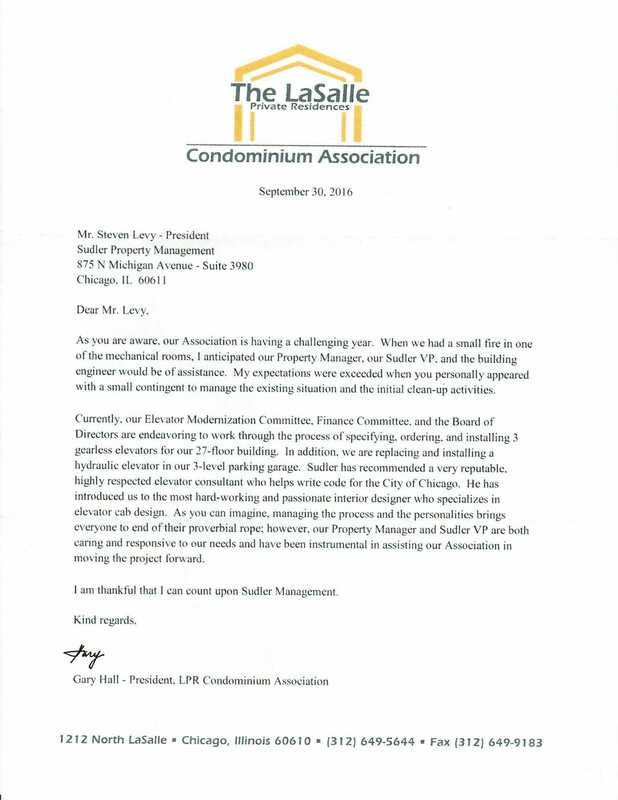 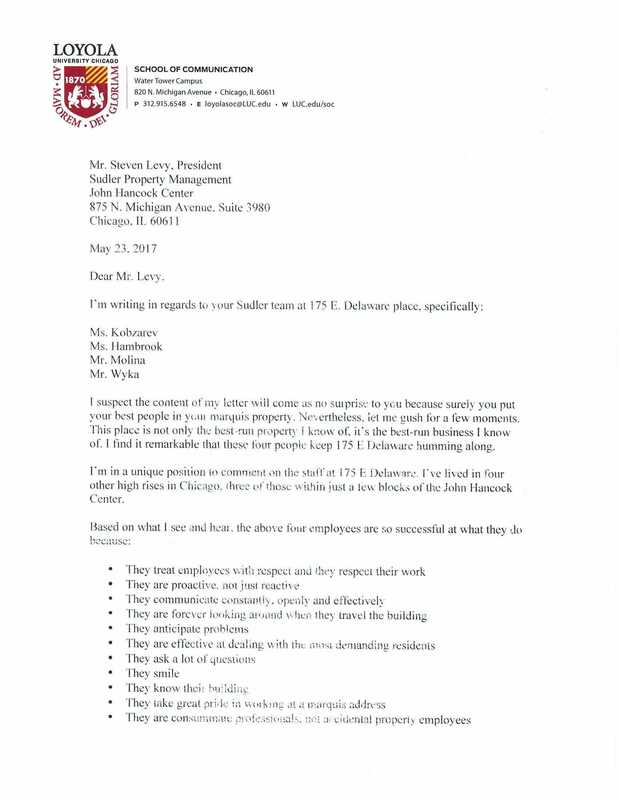 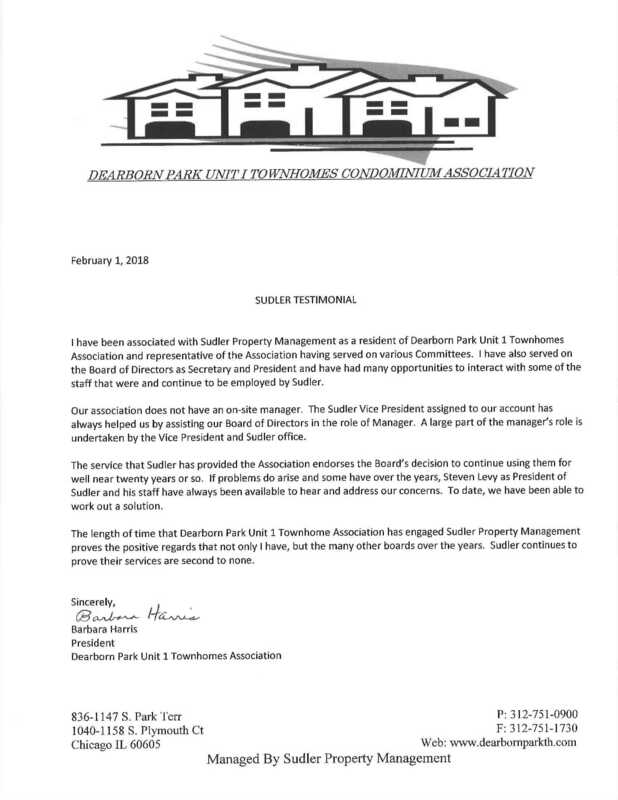 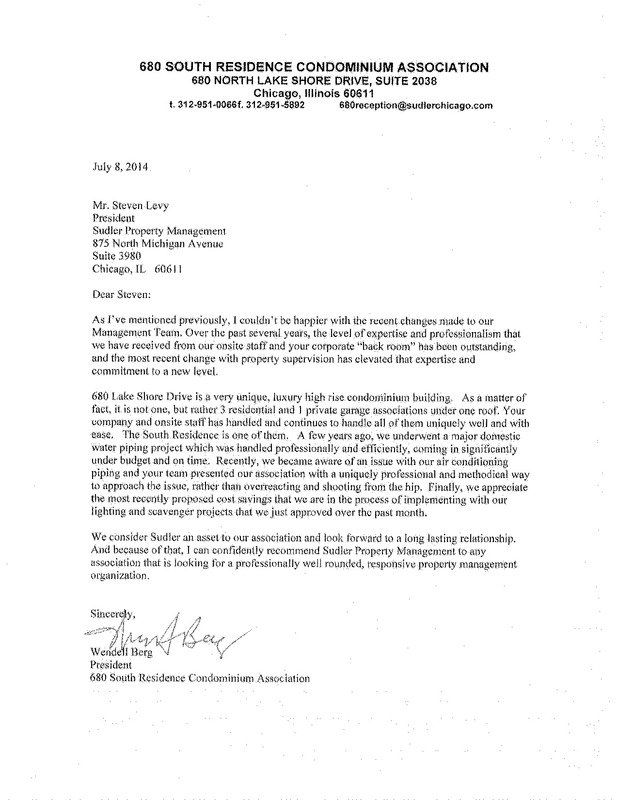 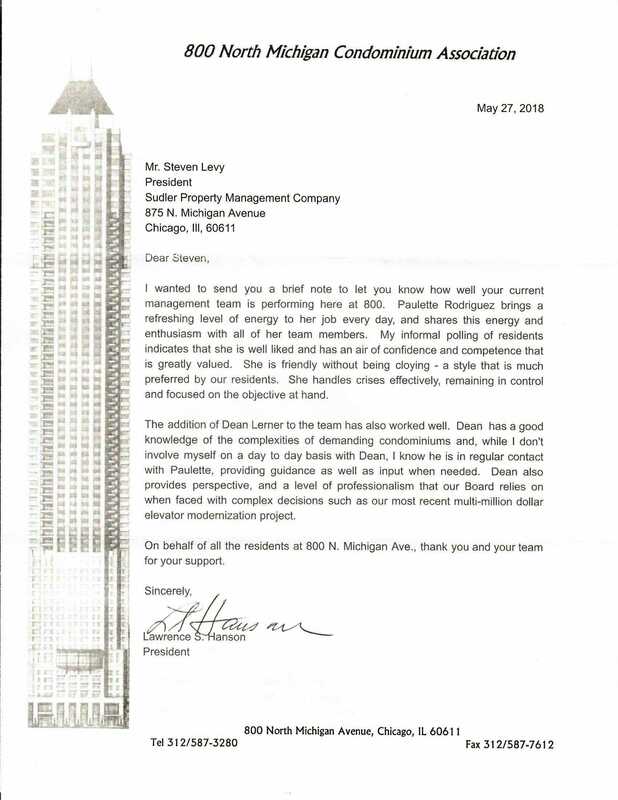 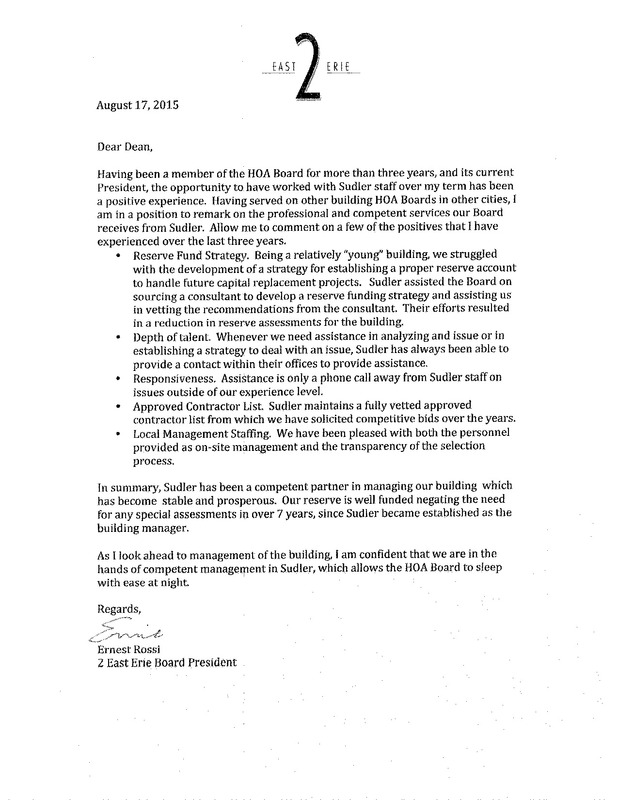 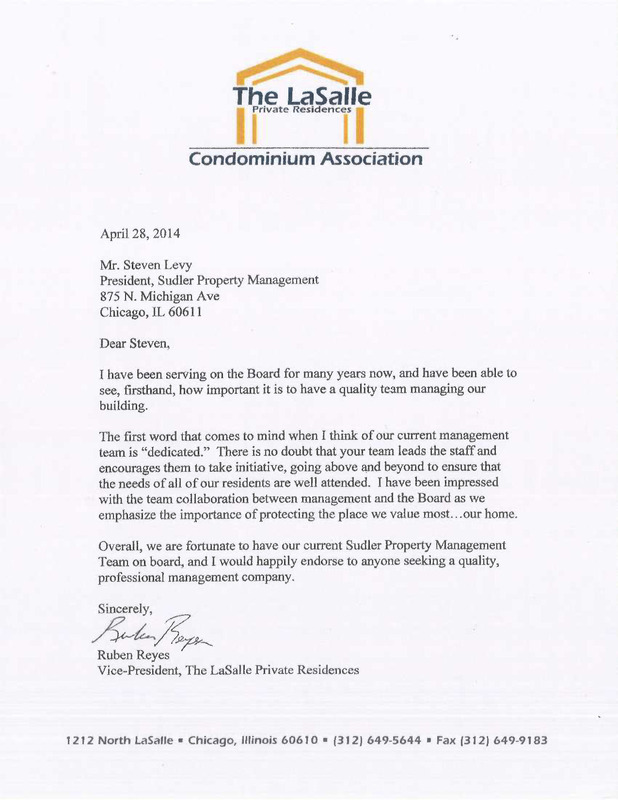 The management team is very responsive, and always gets the job done. "